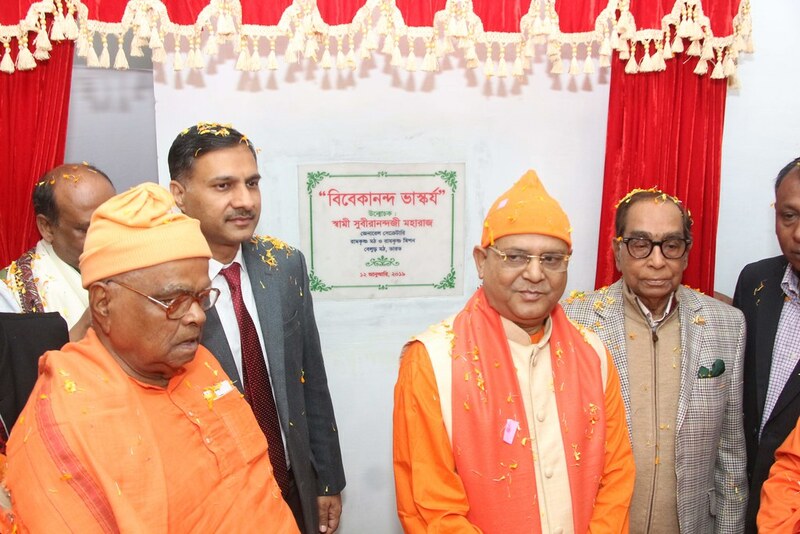 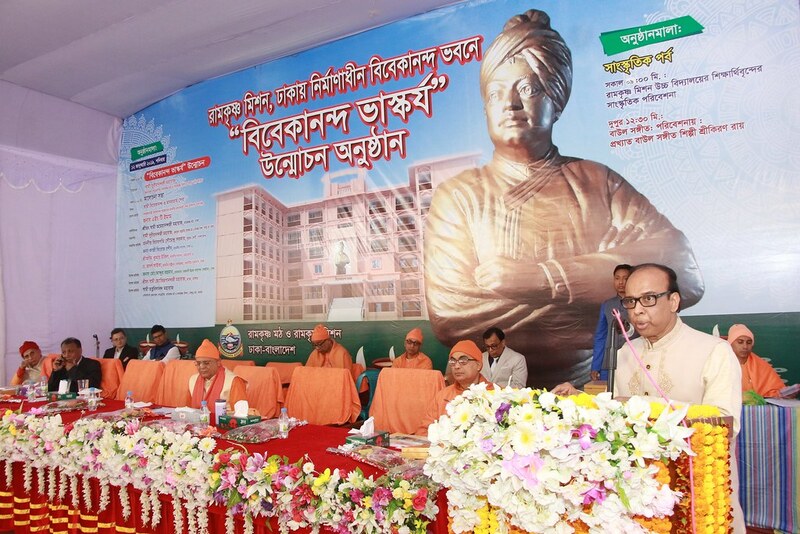 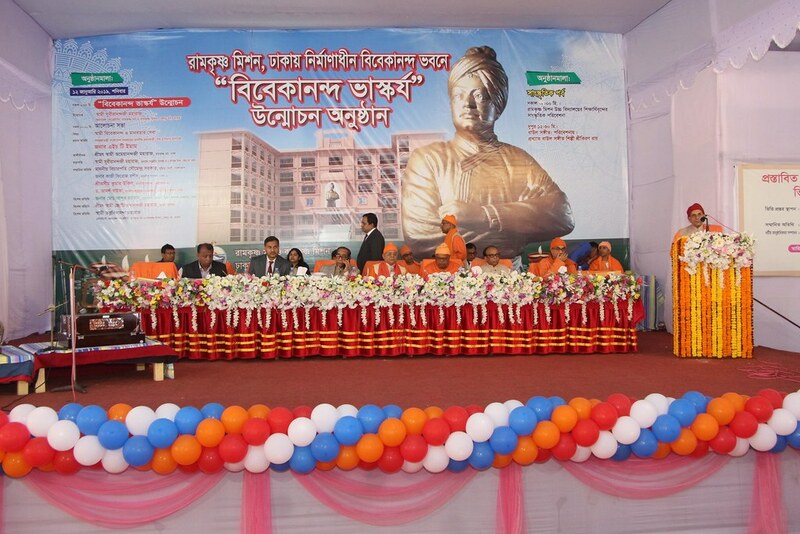 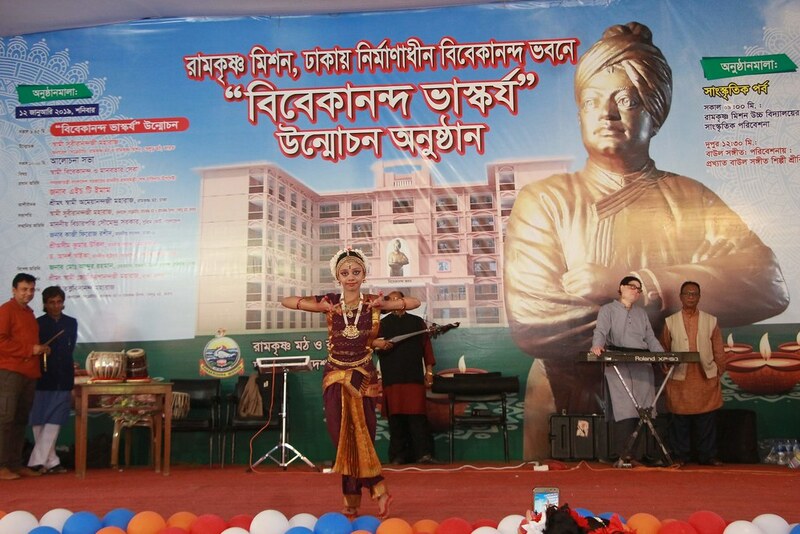 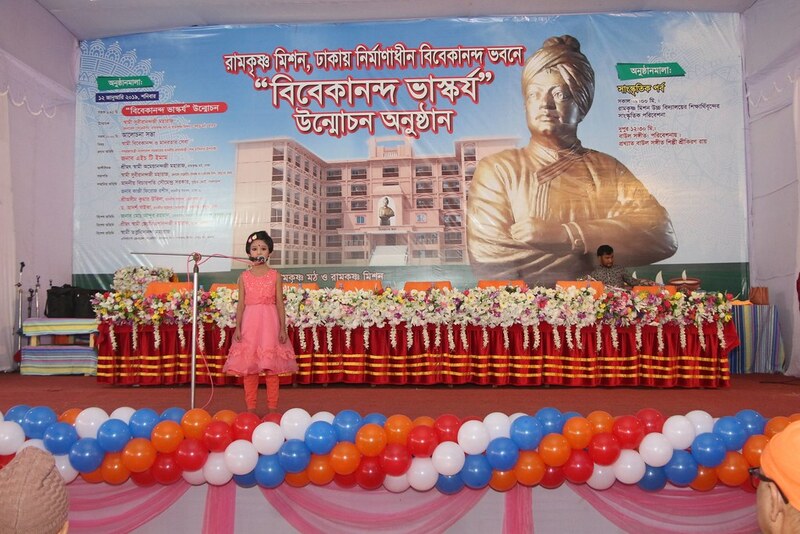 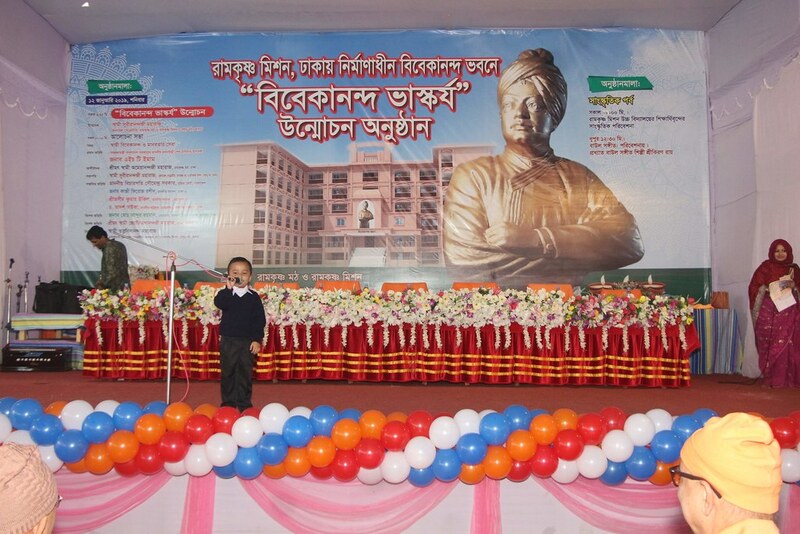 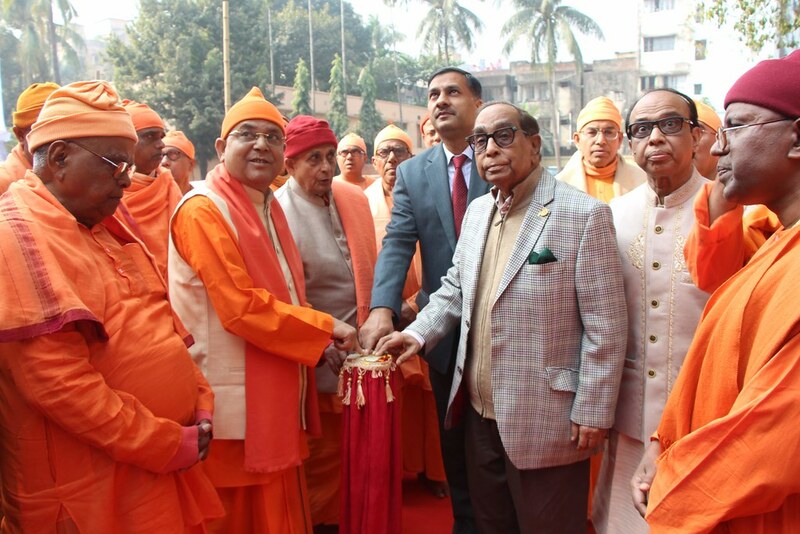 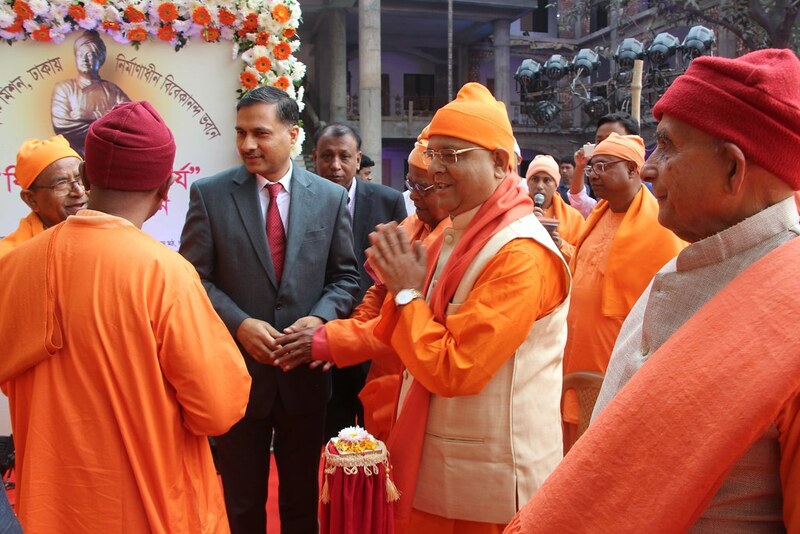 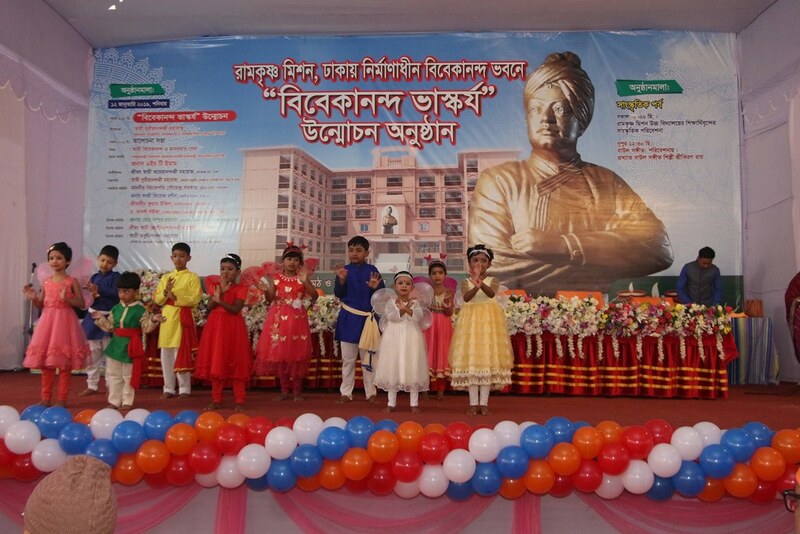 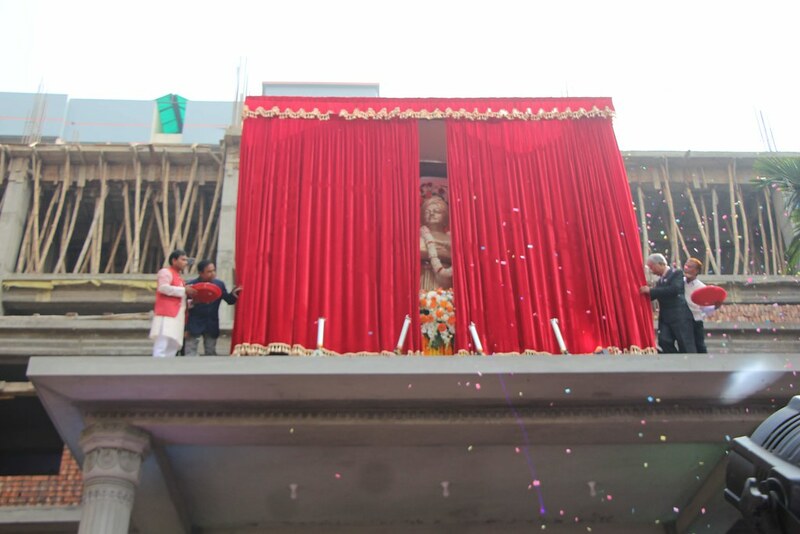 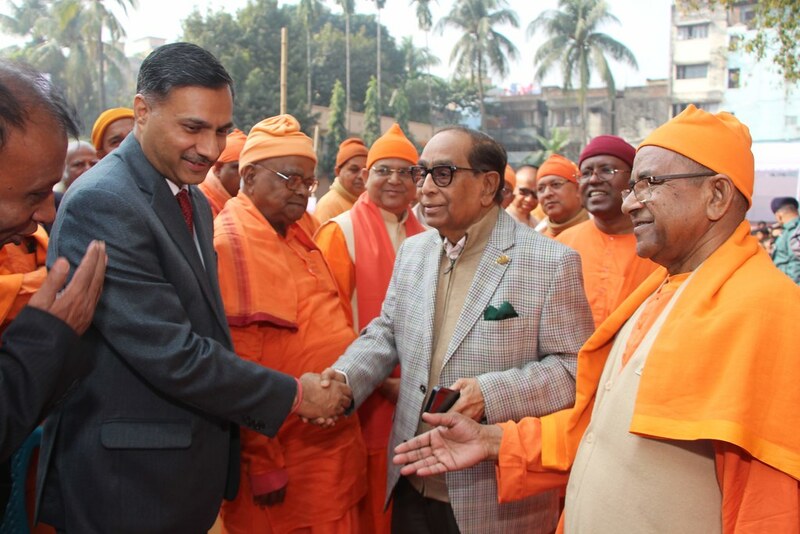 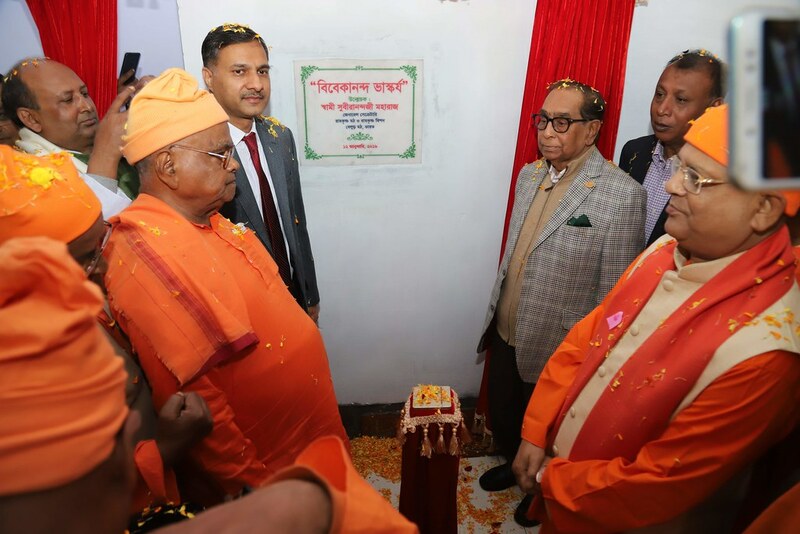 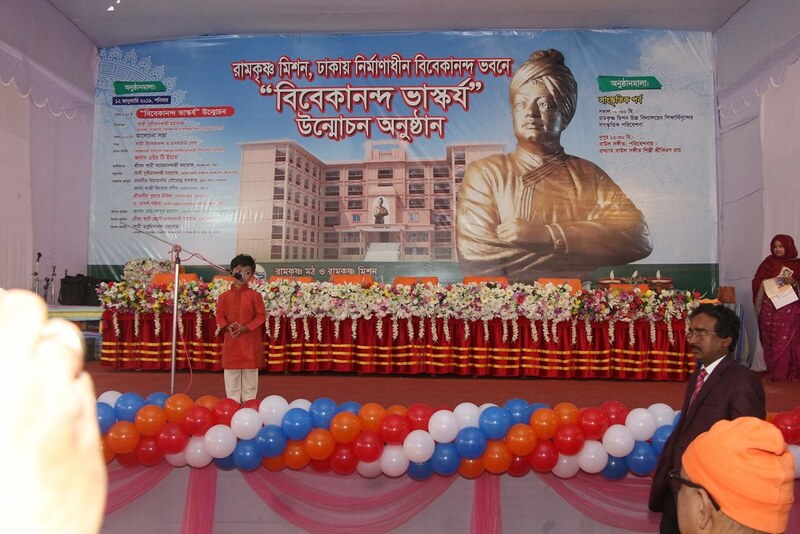 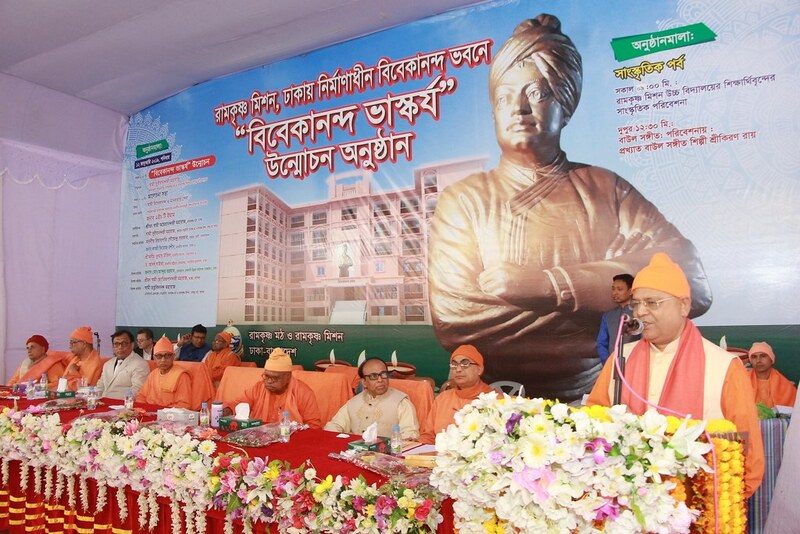 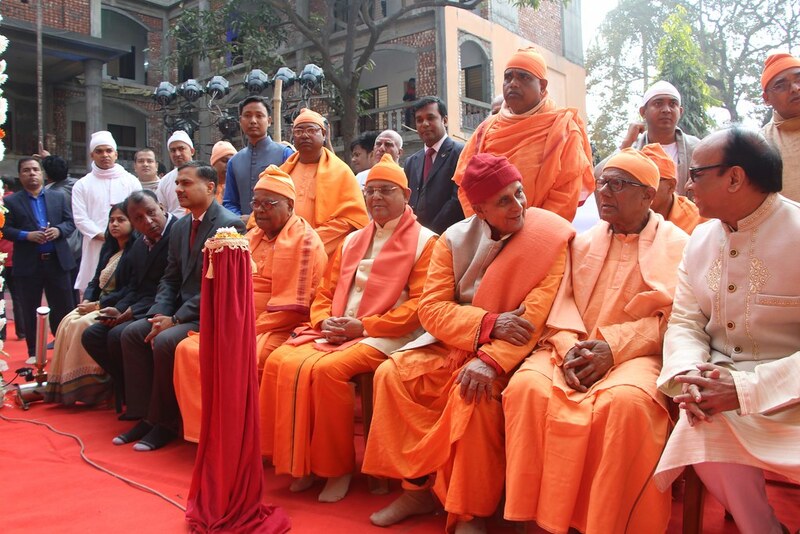 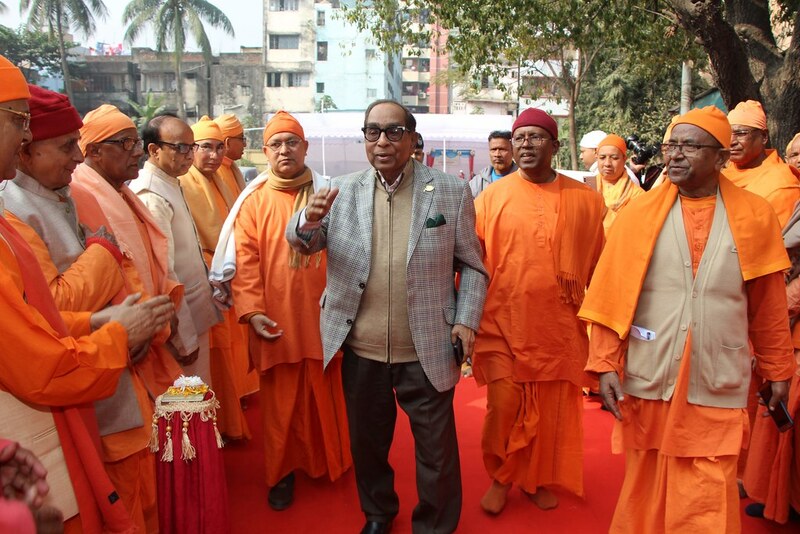 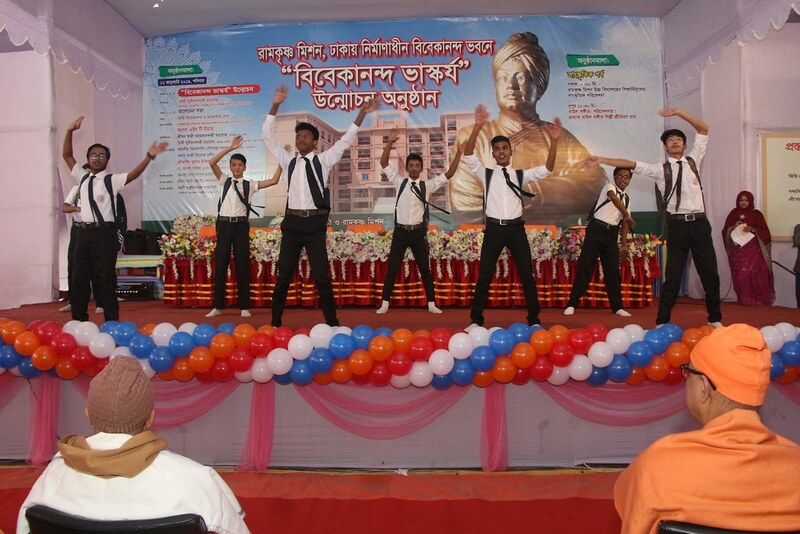 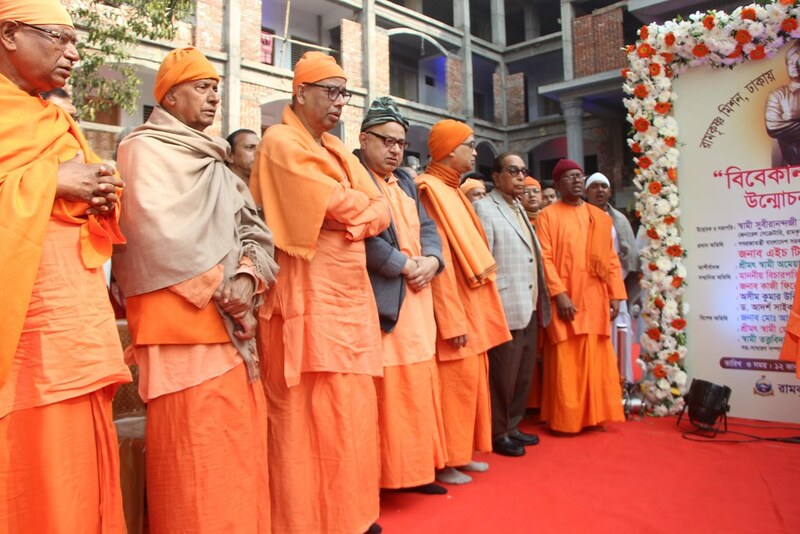 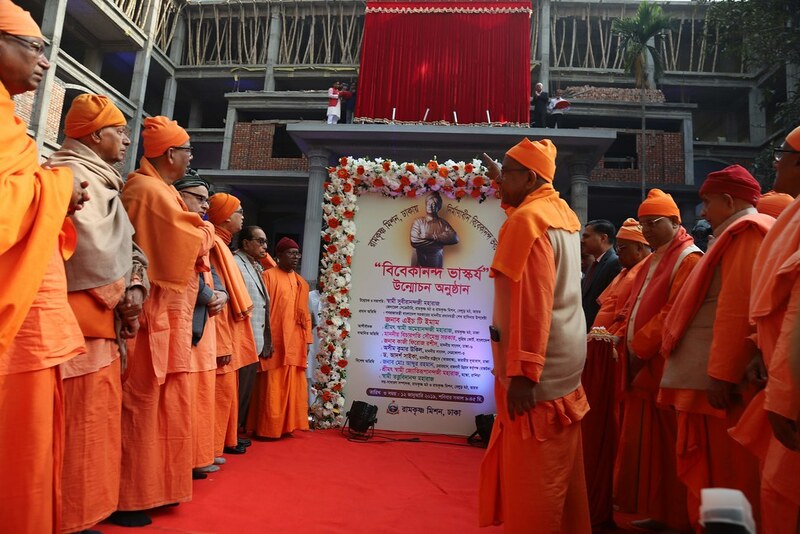 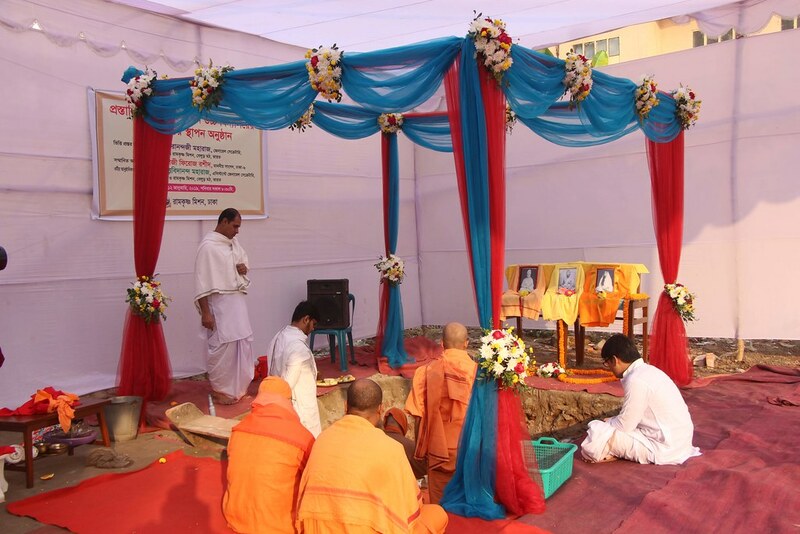 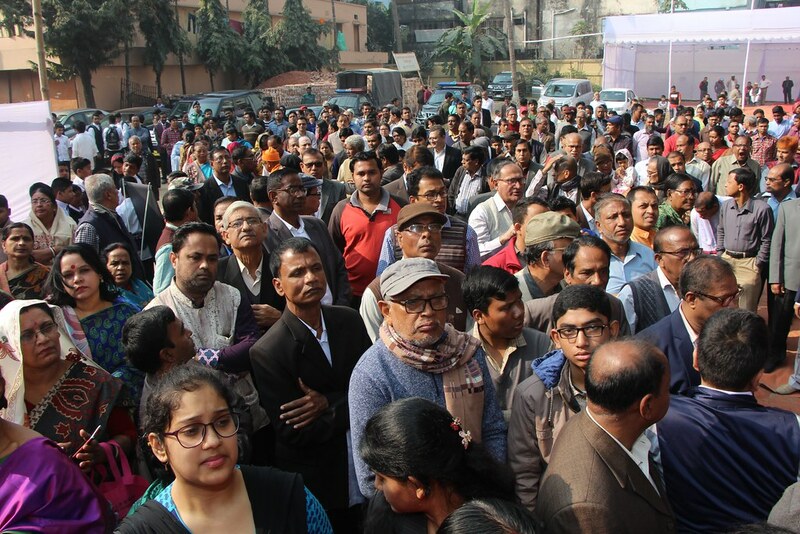 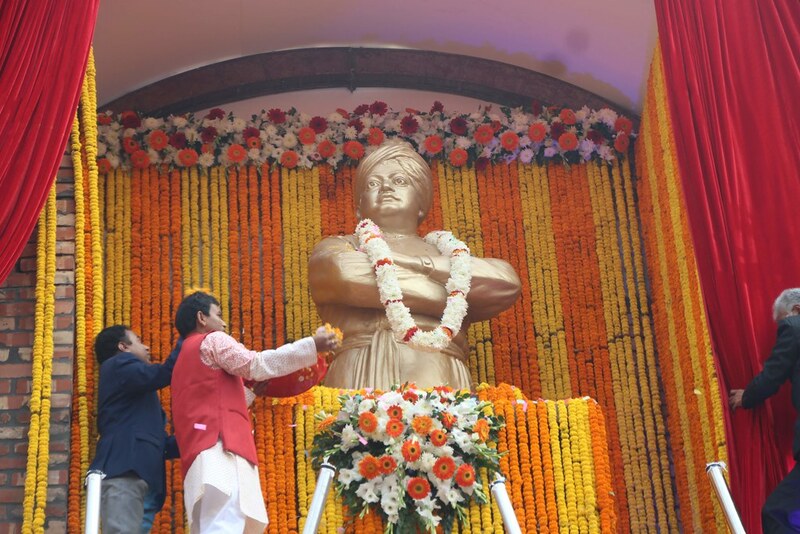 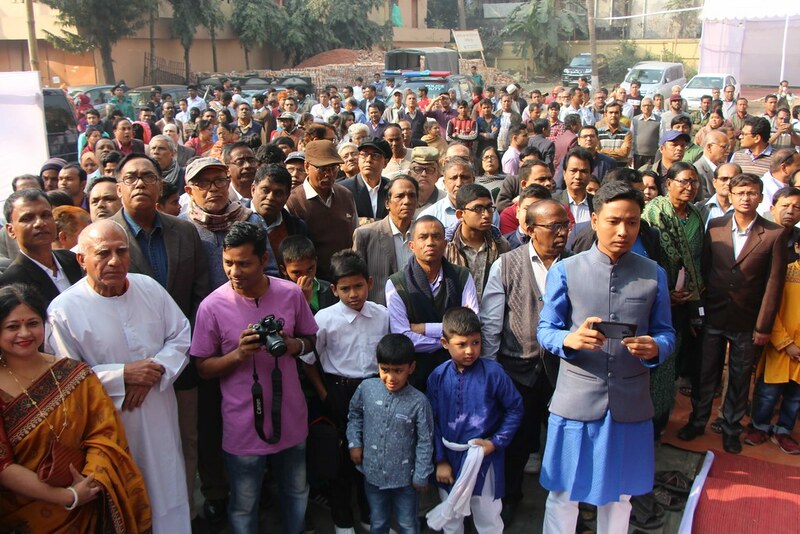 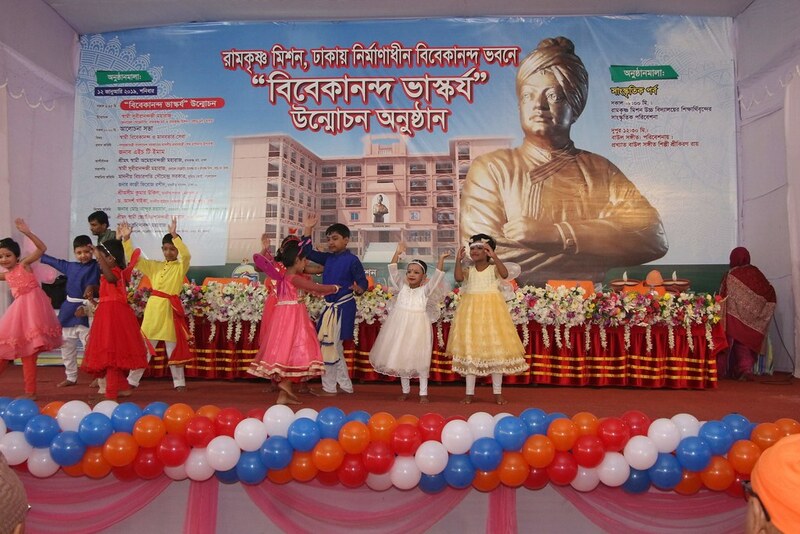 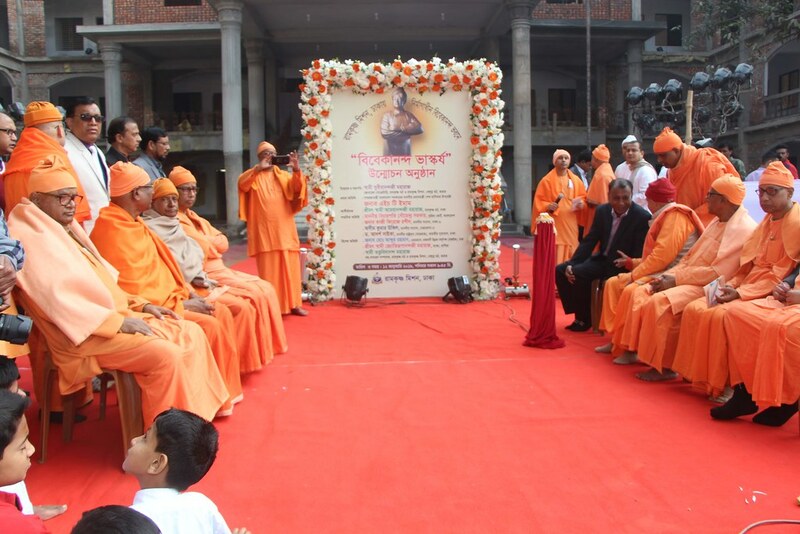 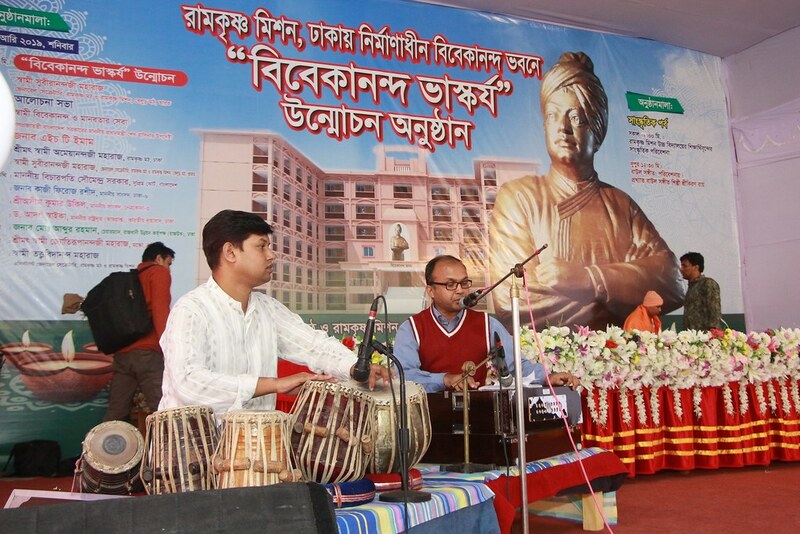 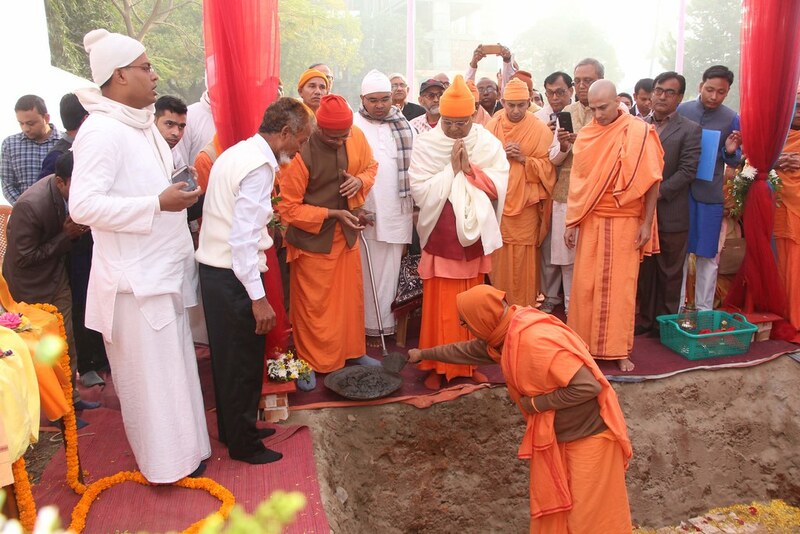 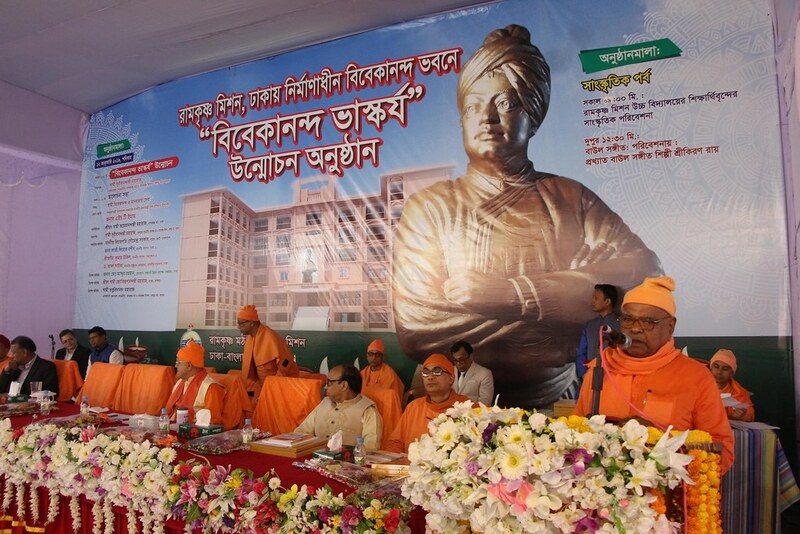 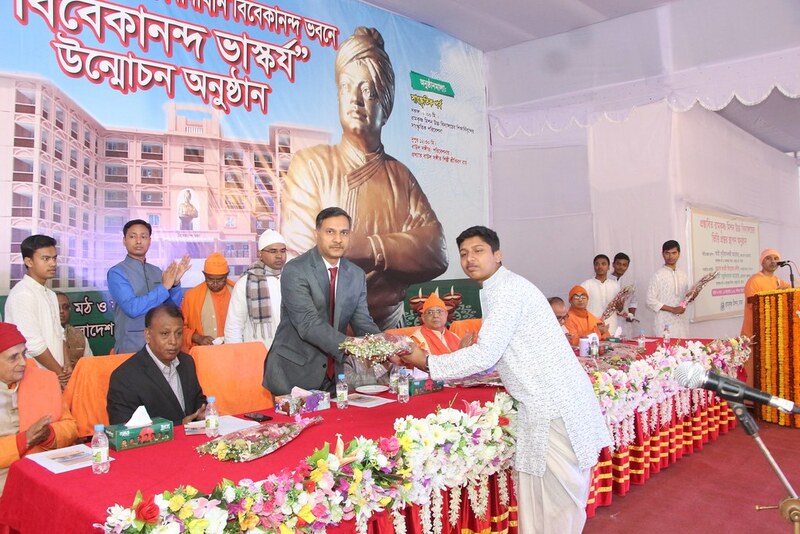 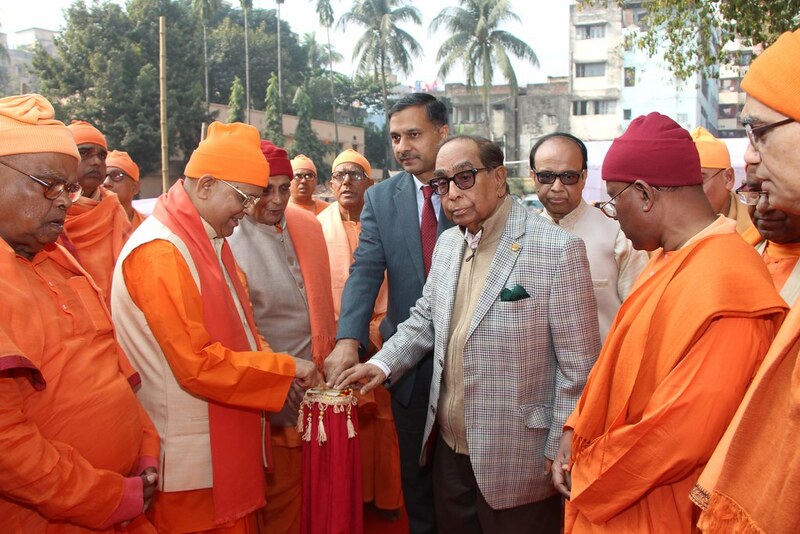 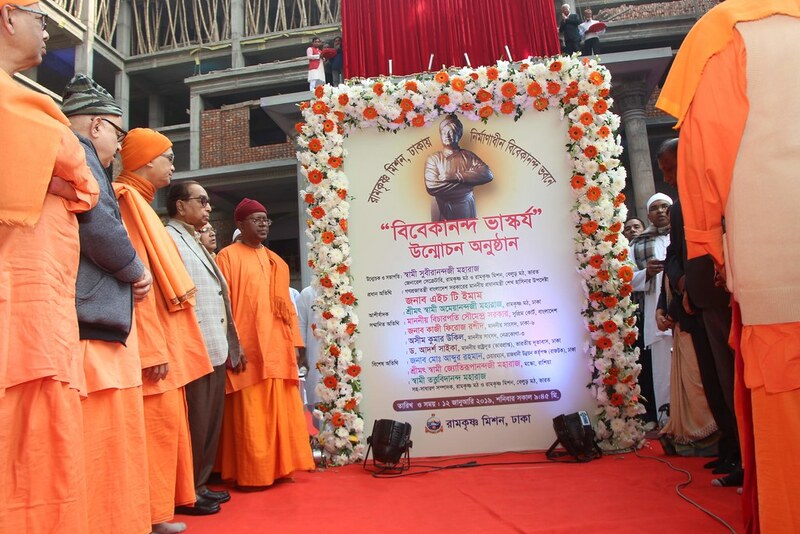 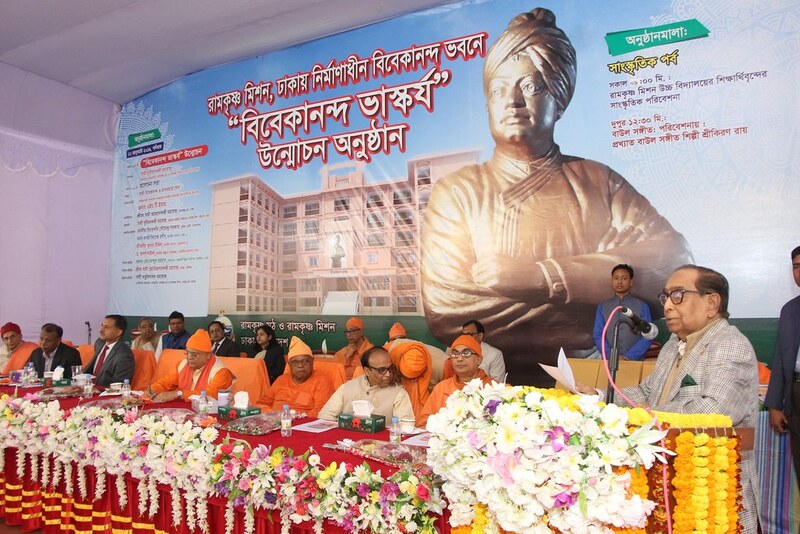 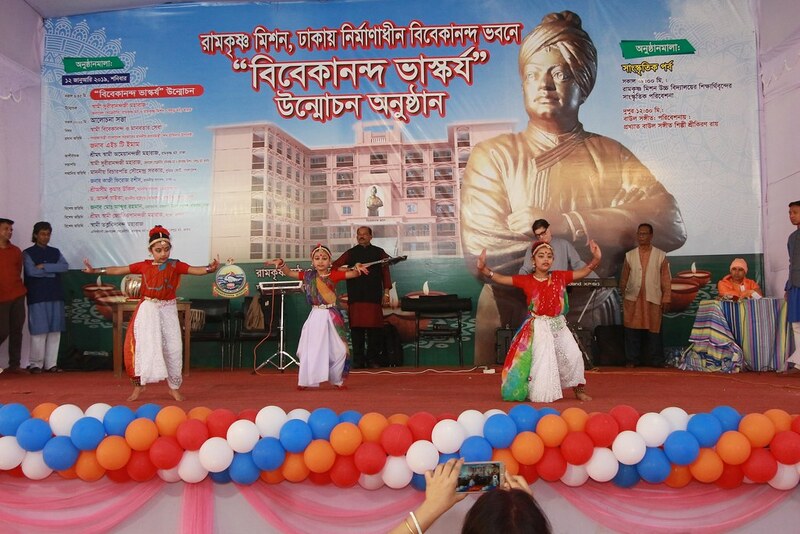 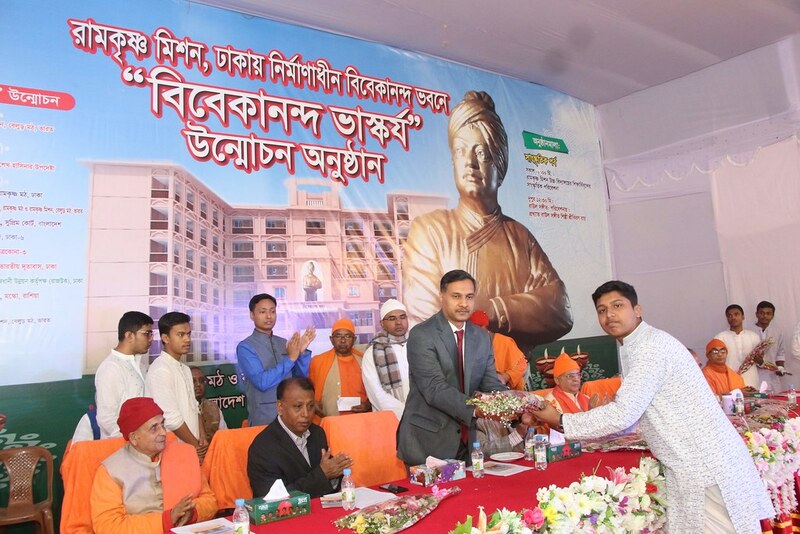 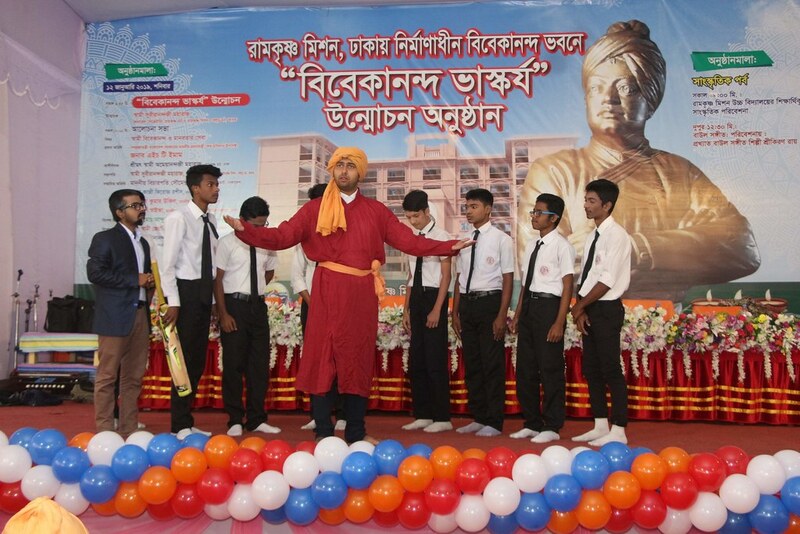 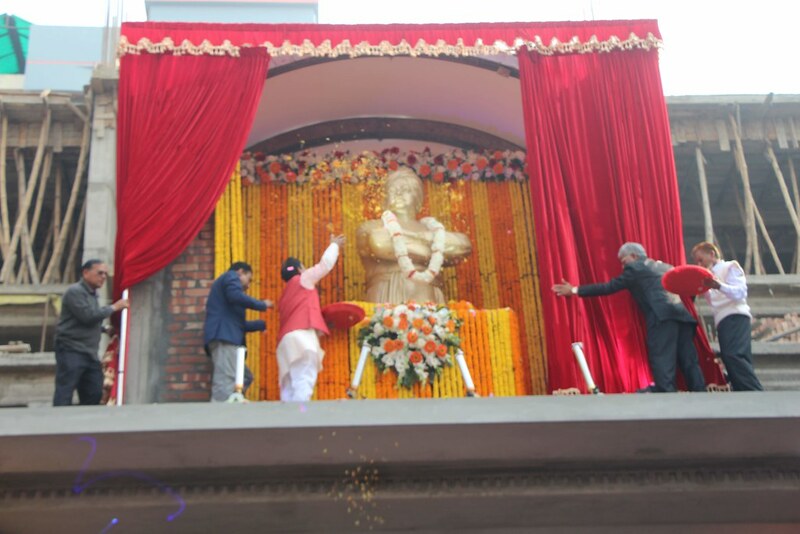 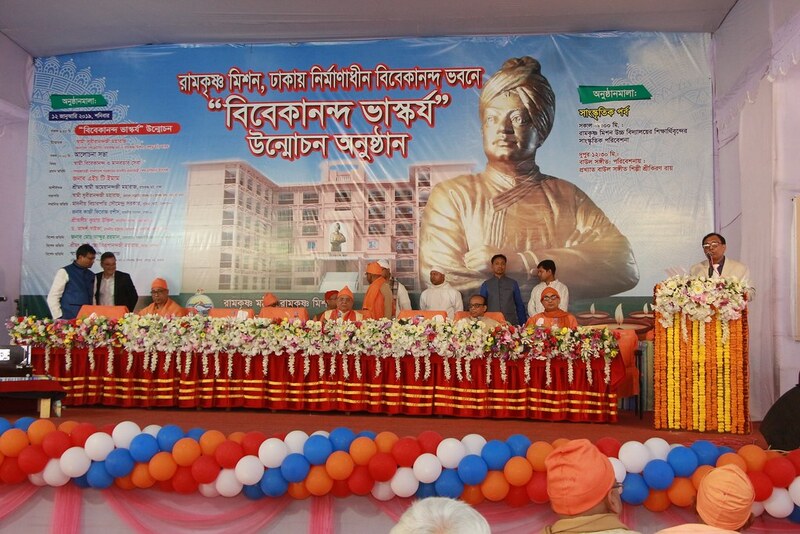 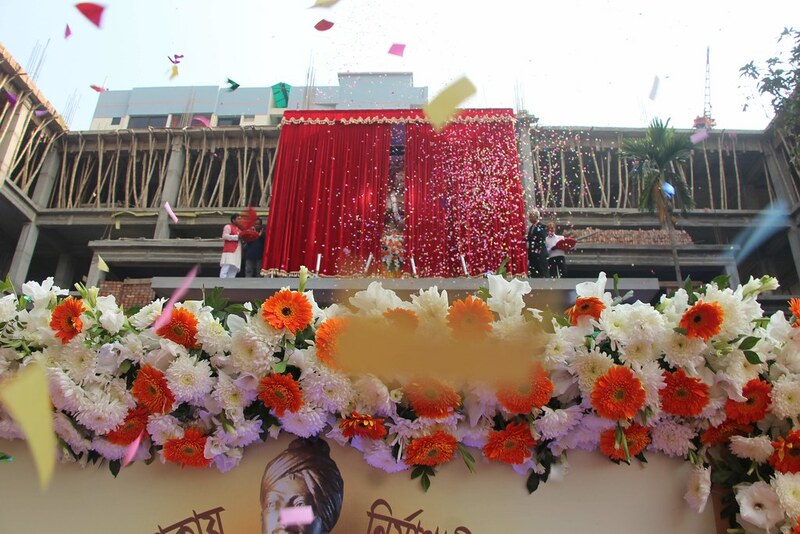 Ramakrishna Mission, Dhaka, arranged an unveiling ceremony of the `Vivekananda Sculpture’, installed at Vivekananda Bhavan- under construction, with grand festivity, on January 12, 2019. 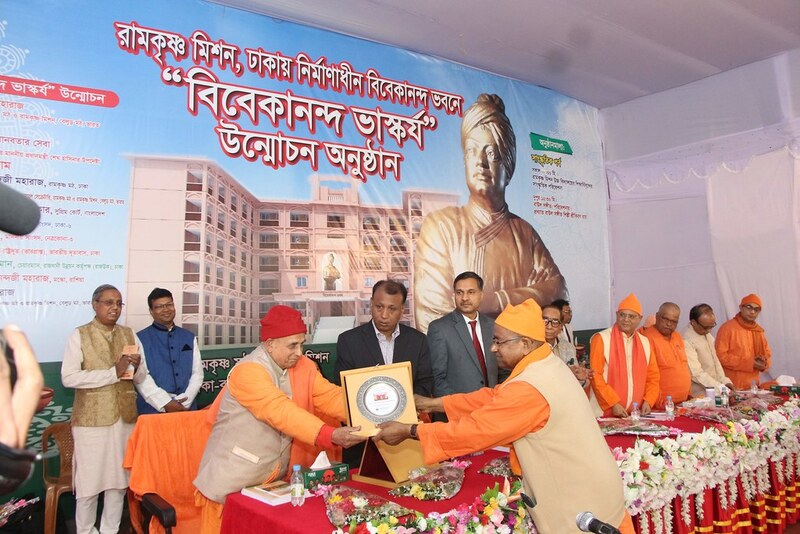 Swami Suvirananda Maharaj, General Secretary, Ramakrishna Math & Ramakrishna Mission, Belur Math, unveiled the sculpture, in the presence of Mr. H. T Imam, Advisor of Hon’ble Prime Minister Sheikh Hasina, Govt. 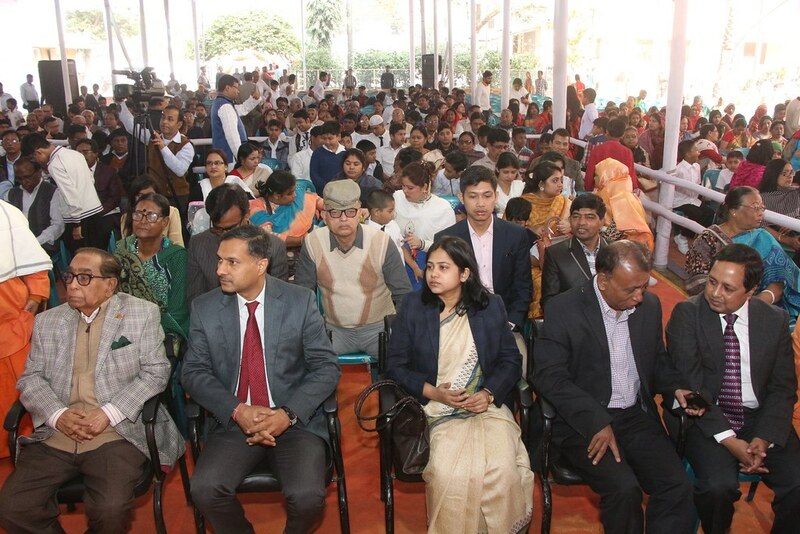 of the People’s Republic of Bangladesh, the Chief Guest, Hon’ble Justice Saumendra Sarker, Supreme Court, Bangladesh, Mr. Asim Kumar Ukil, Hon’ble MP, Dhaka-6, Dr. Adarsh Swaika, High Commissioner (In charge), High Commission of India to Bangladesh, Dhaka, Swami Jyotirupanandaji Maharaj, Moscow, Russia, and Swami Tattwavidananda Maharaj, Asst. 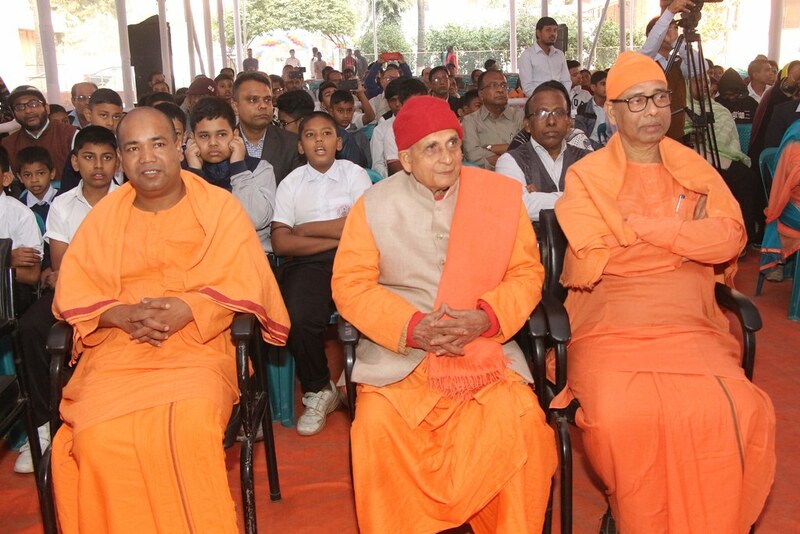 General Secretary, Ramakrishna Math & Ramakrishna Mission, Belur Math, India, the hon’ble guests of this event. 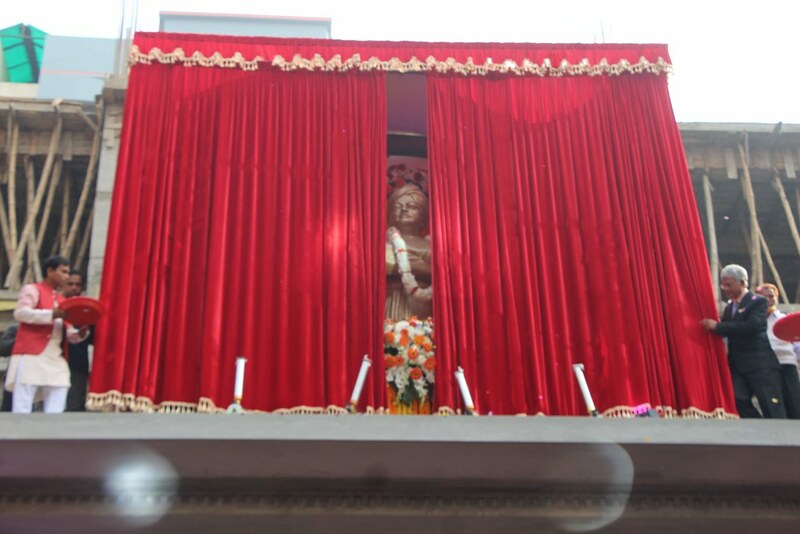 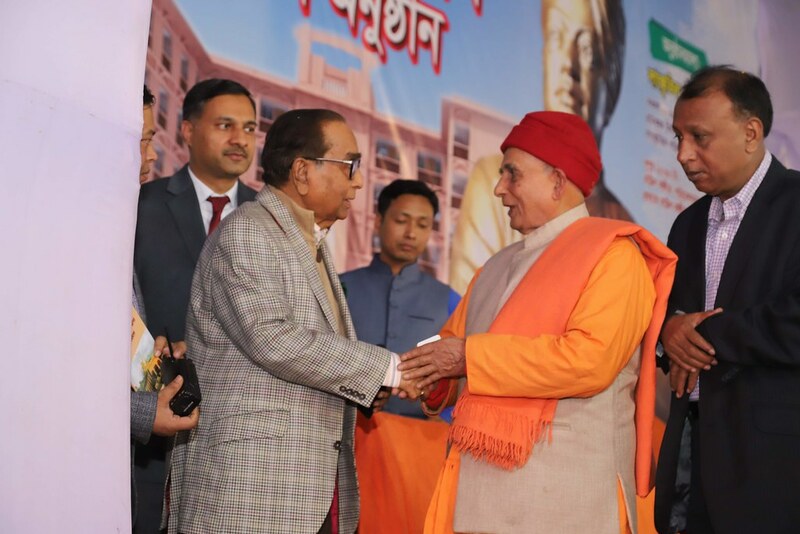 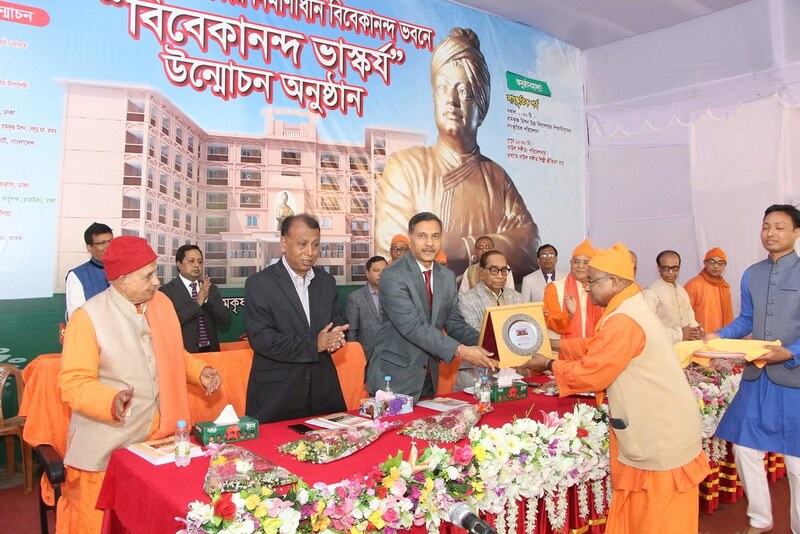 The event was followed by unveiling of an embedded plaque with the inscription of ‘Vivekananda Sculpture’ on the Bhavan, by Swami Suvirananda Maharaj. 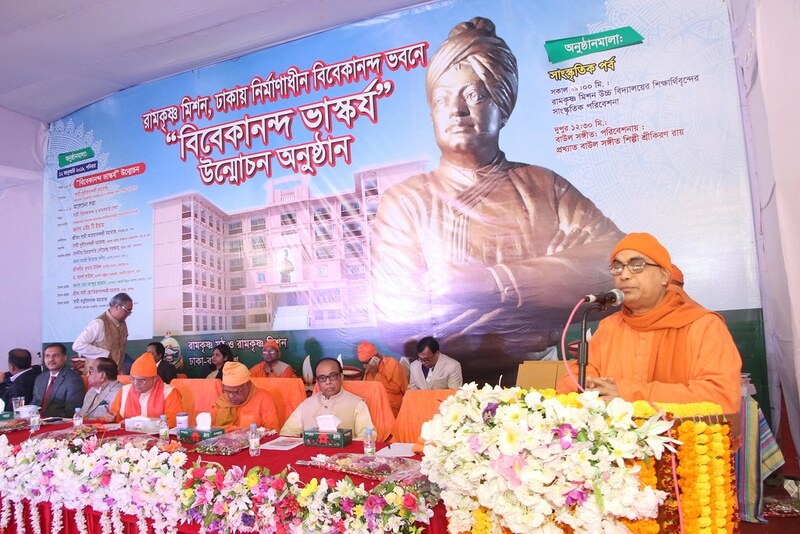 A public meeting featured by a discussion on the topic Swami Vivekananda and Service to the Humanity was held in this connection. 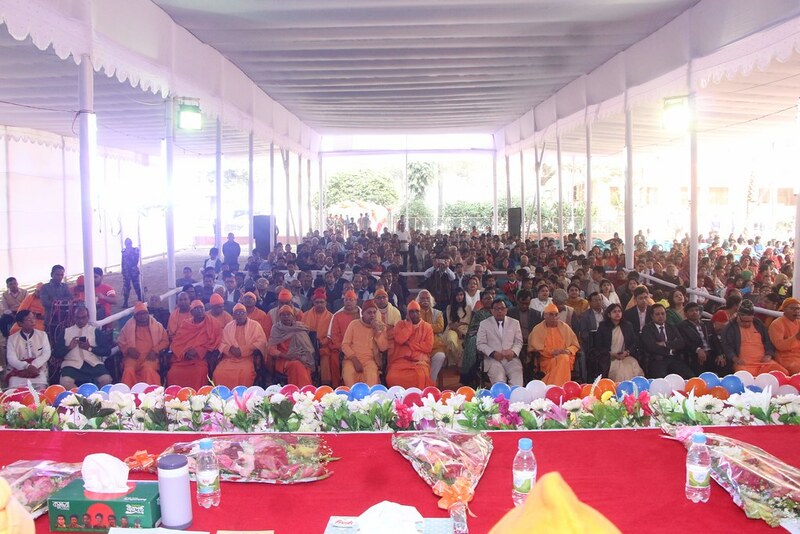 With Swami Suvirananda Maharaj, in the Chair, the meeting was addressed by the aforementioned Chief Guests and Hon’ble guests. 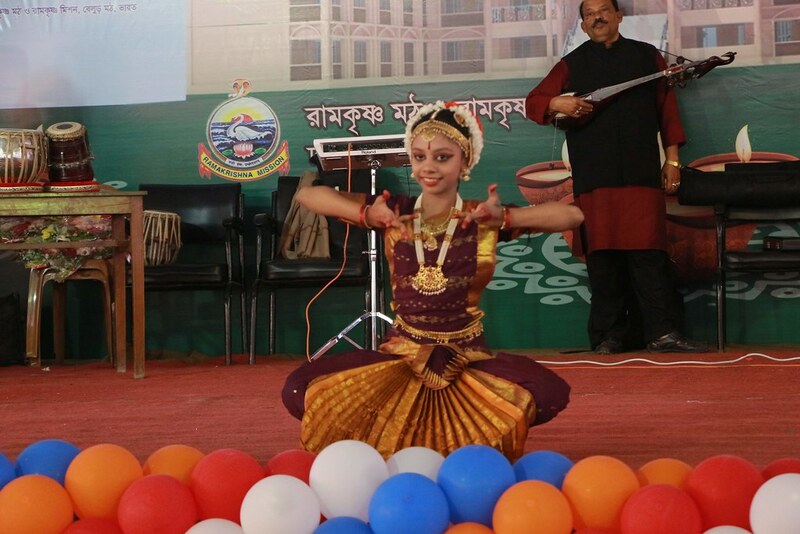 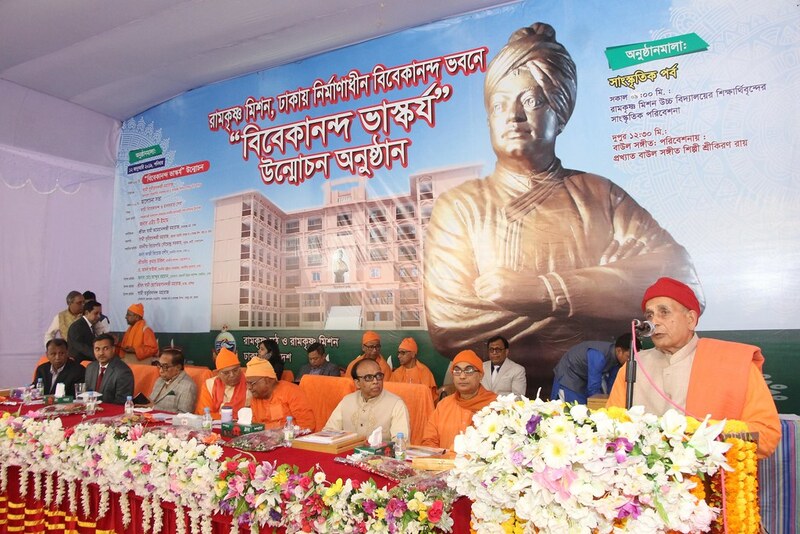 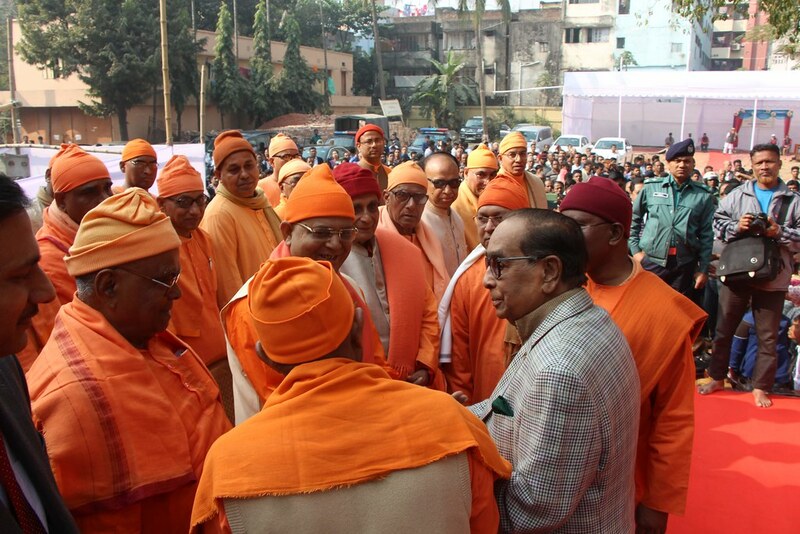 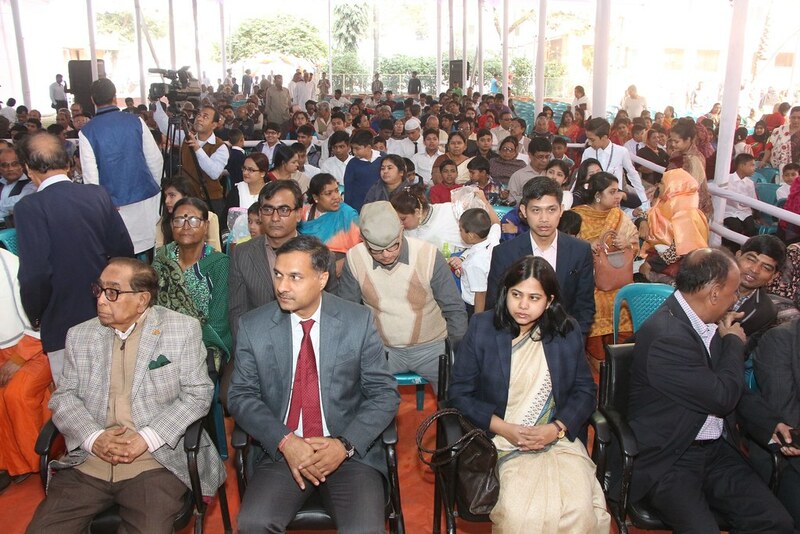 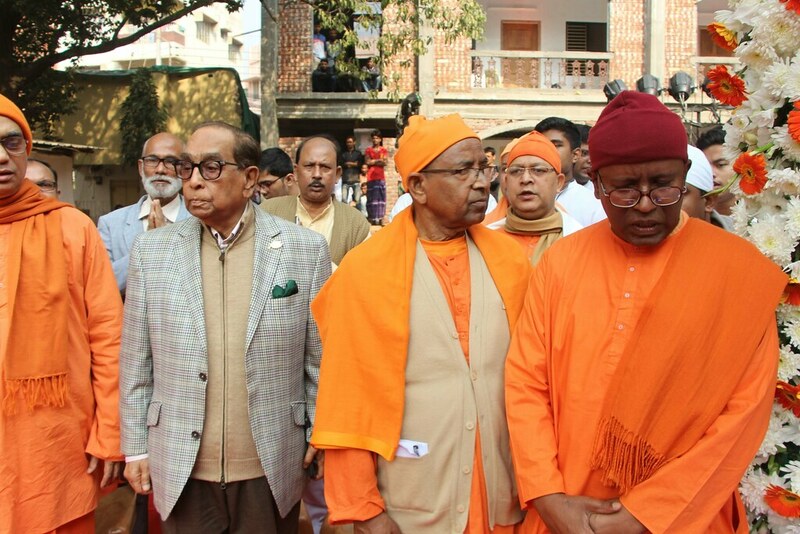 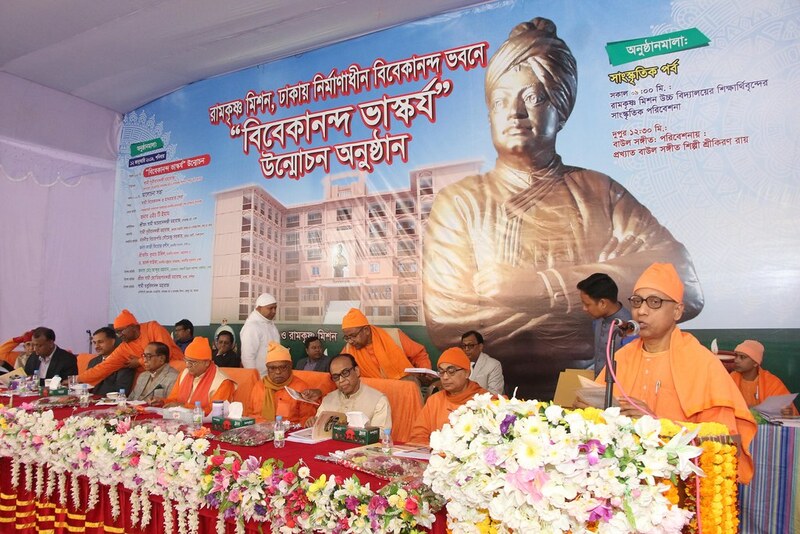 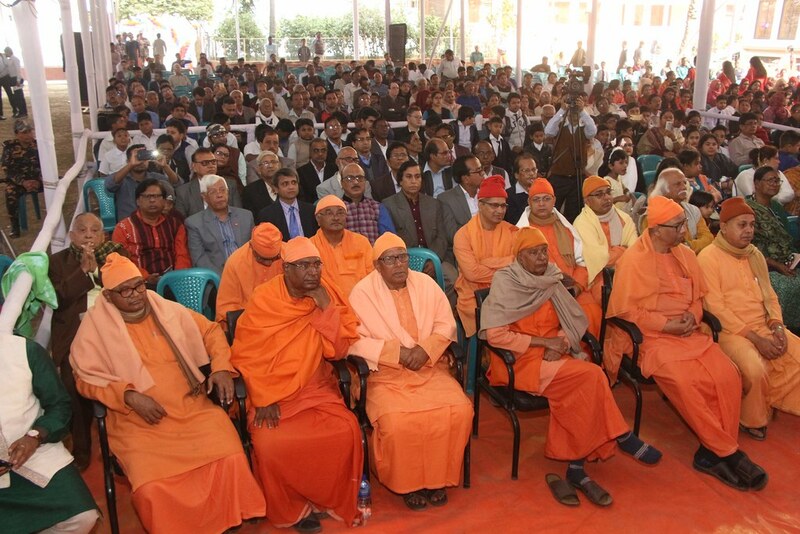 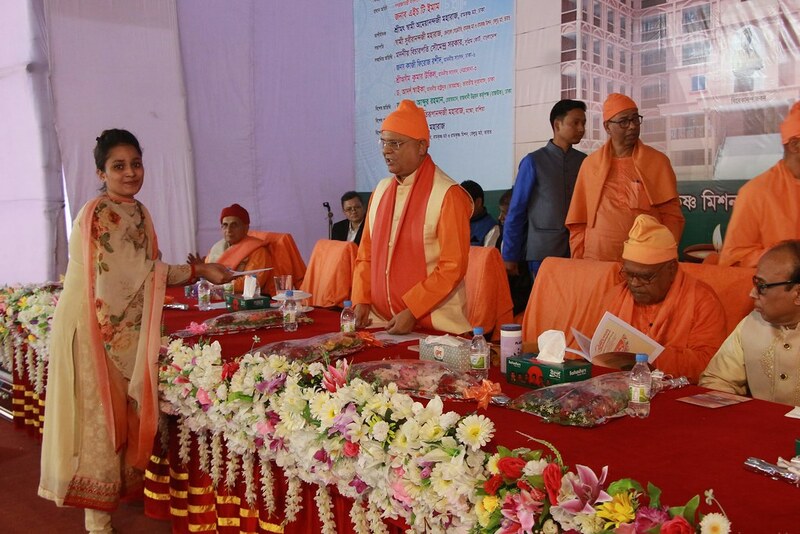 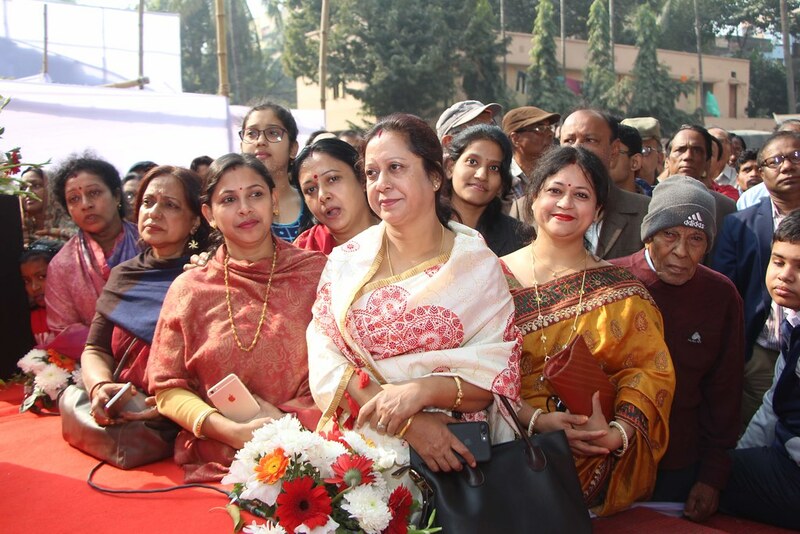 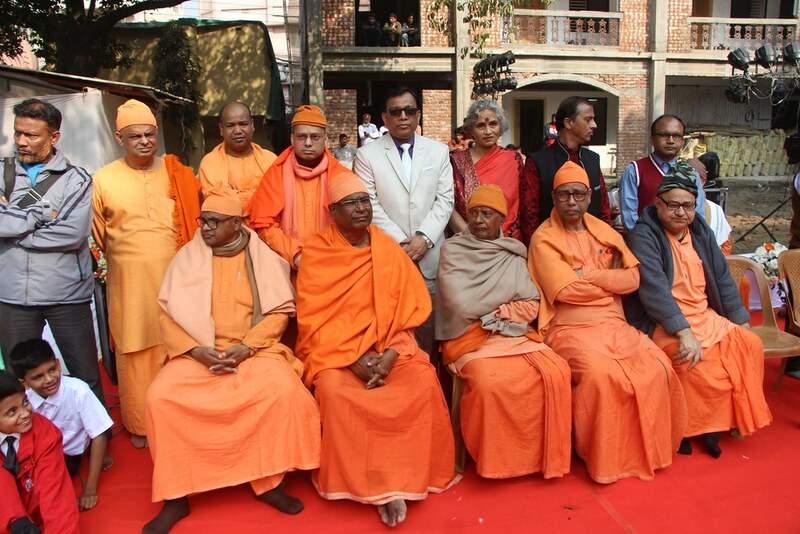 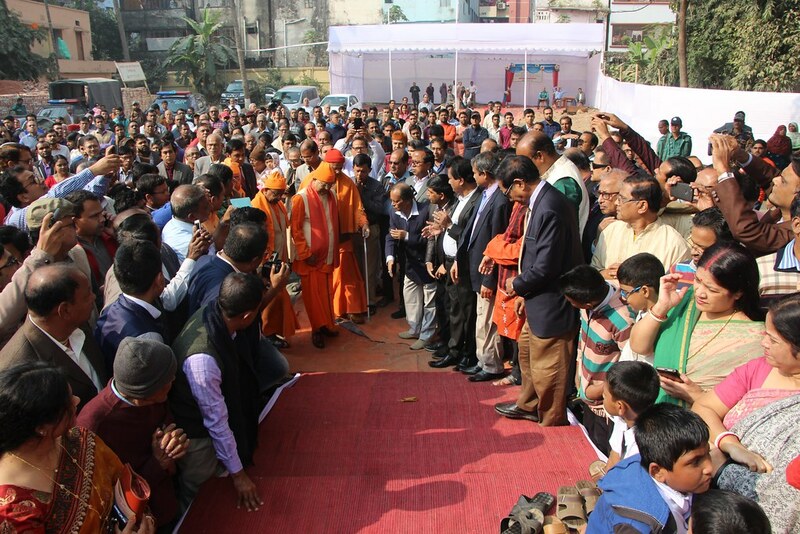 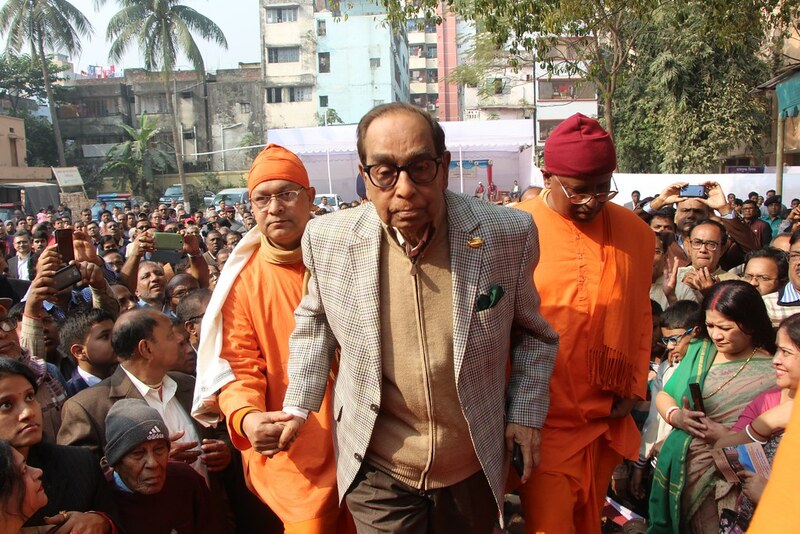 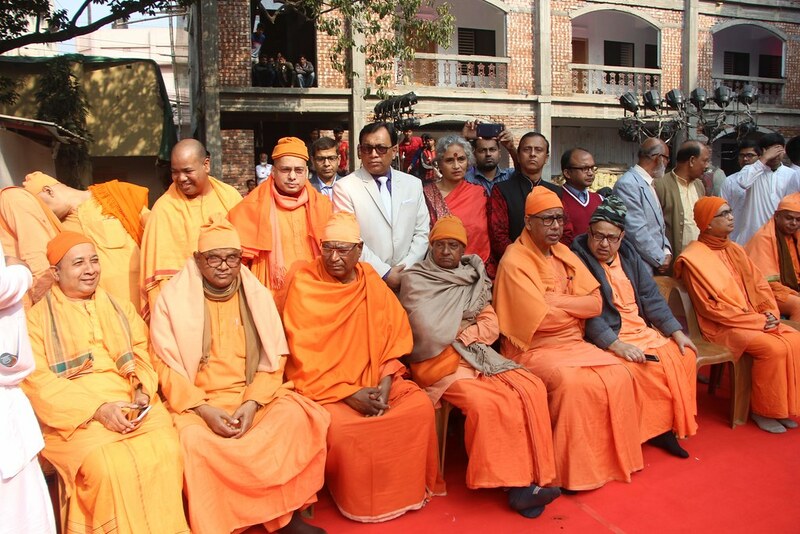 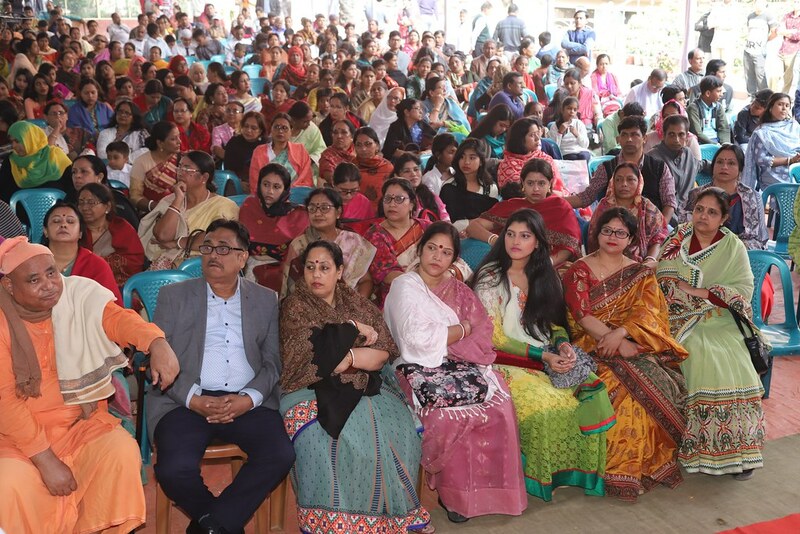 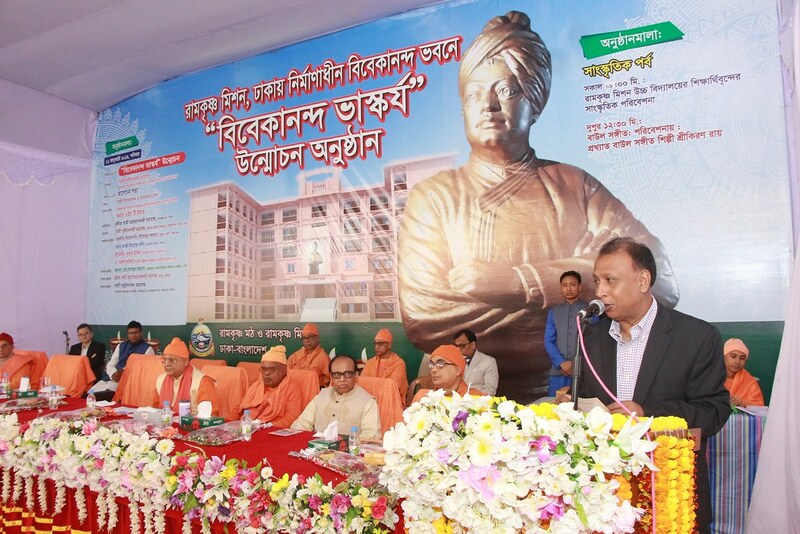 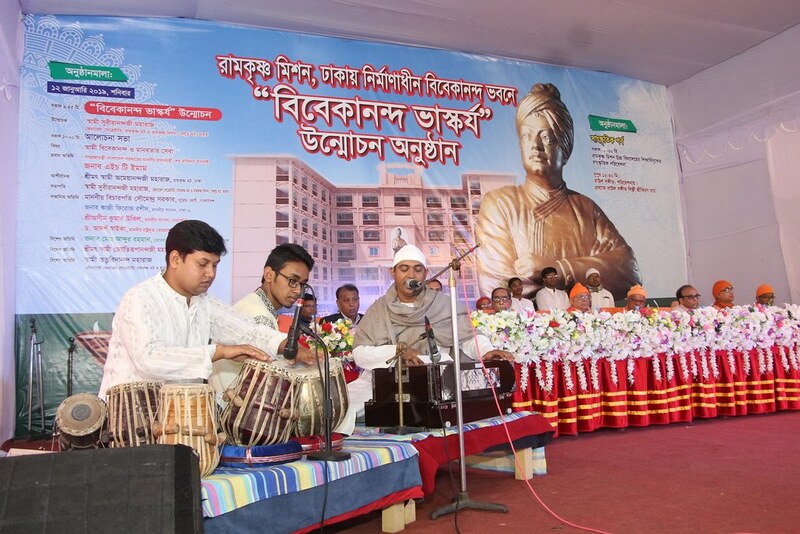 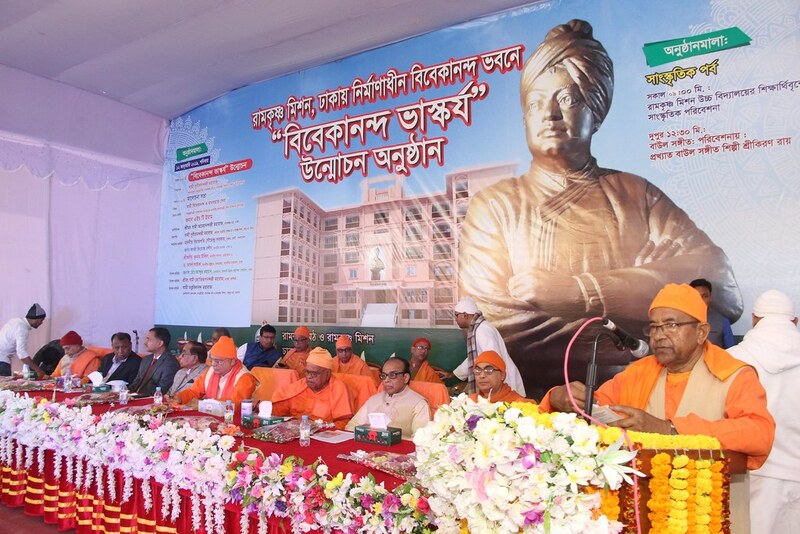 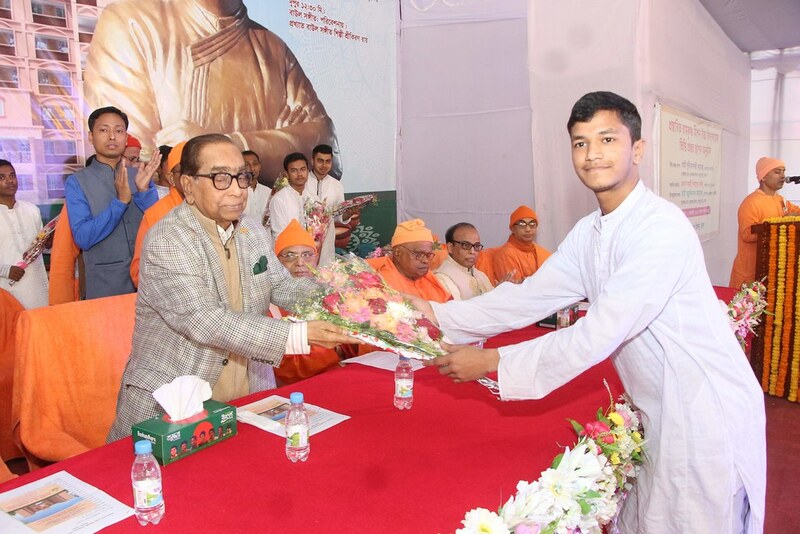 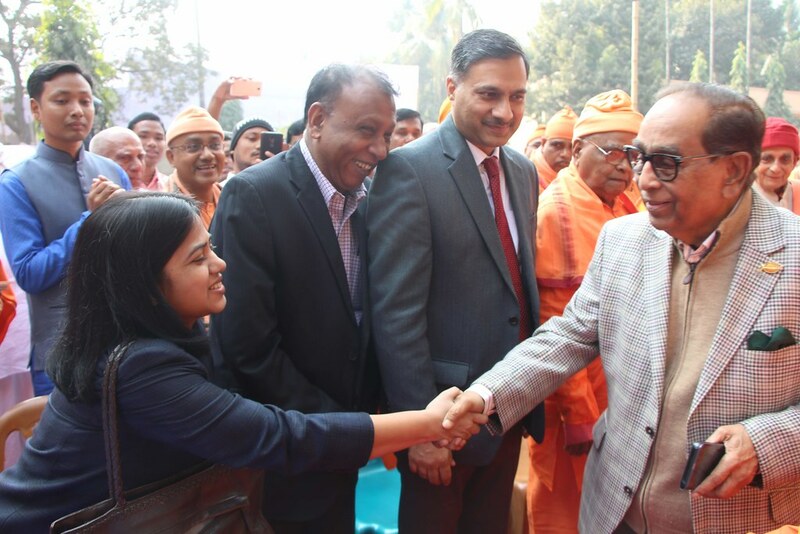 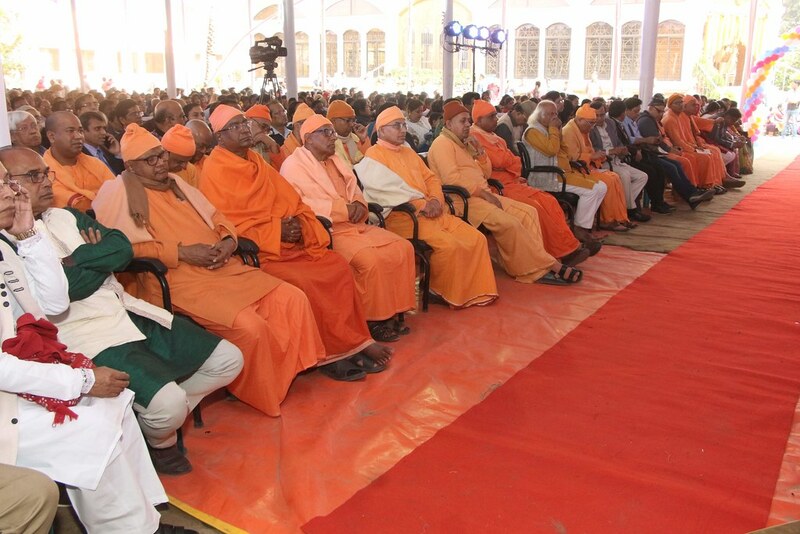 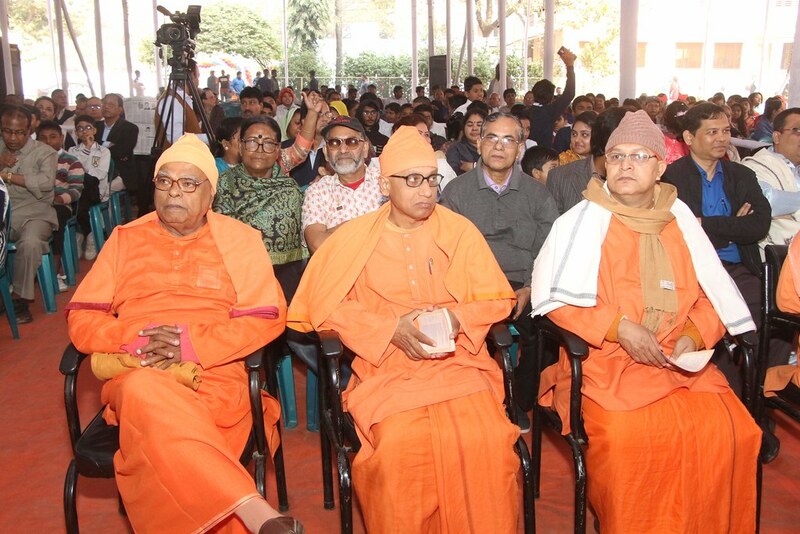 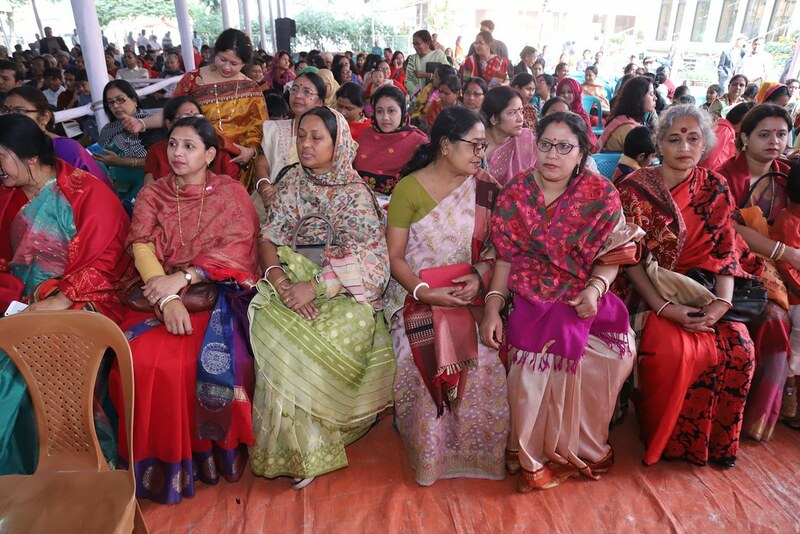 About 3000 people of all classes and faiths including the monks of different Centers of Ramakrishna Math & Ramakrishna Mission of home and abroad, Nabanita Chakraborty, First Secretary (Pol), High Commission of India to Bangladesh, Dhaka, journalist of printed and electronic media and many other renowned dignitaries were present in this program. 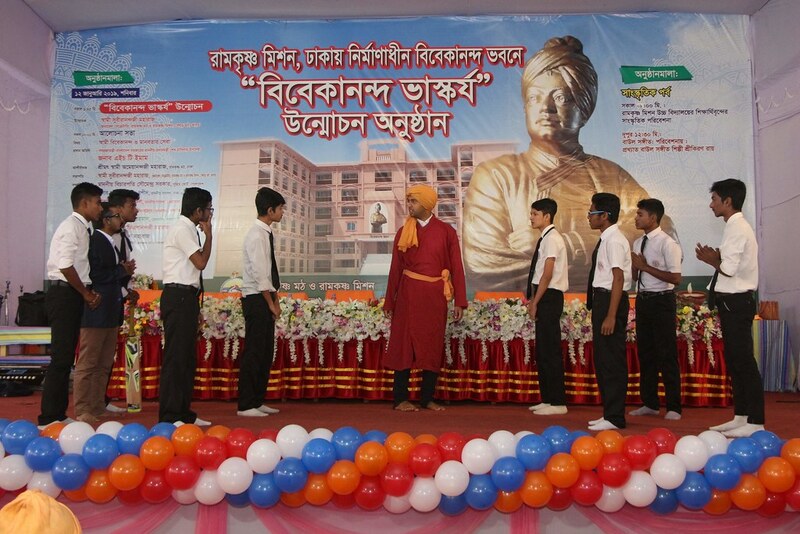 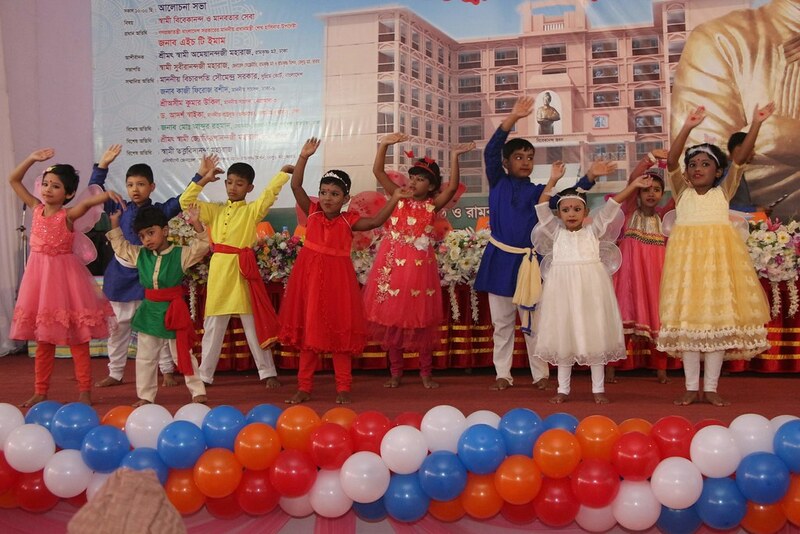 Underprivileged students were distributed stipend by Vivekananda Human Centre, London in this event. 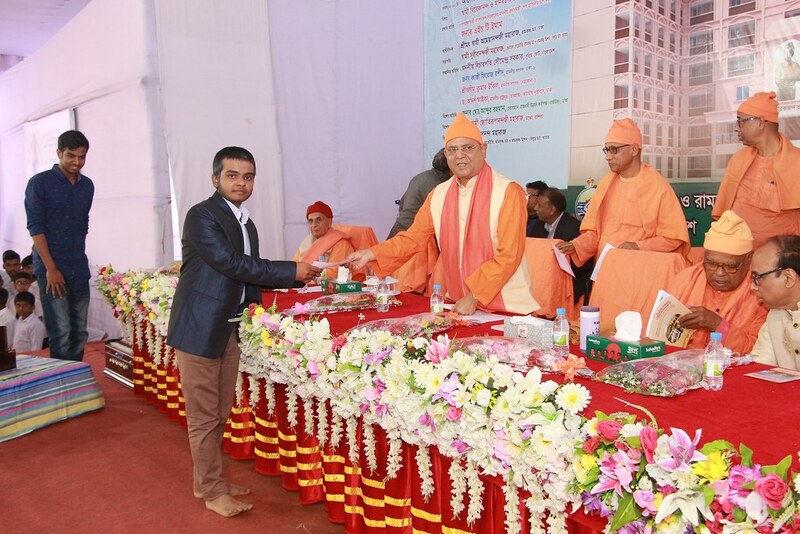 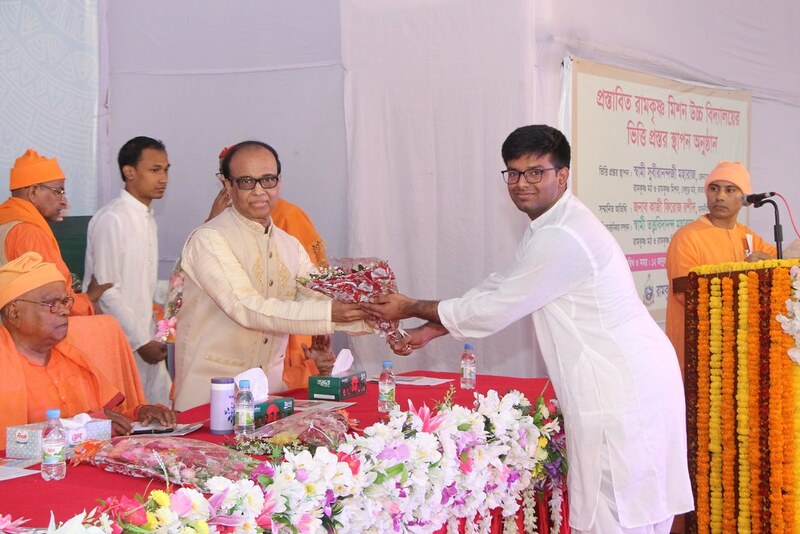 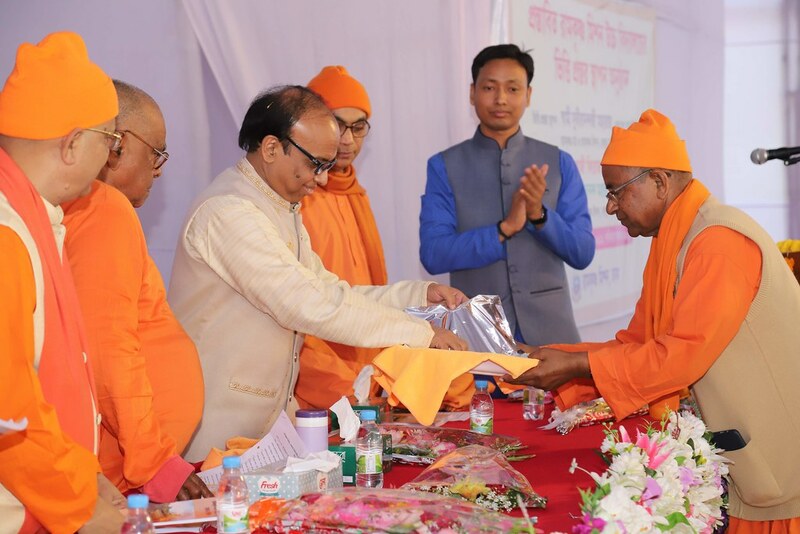 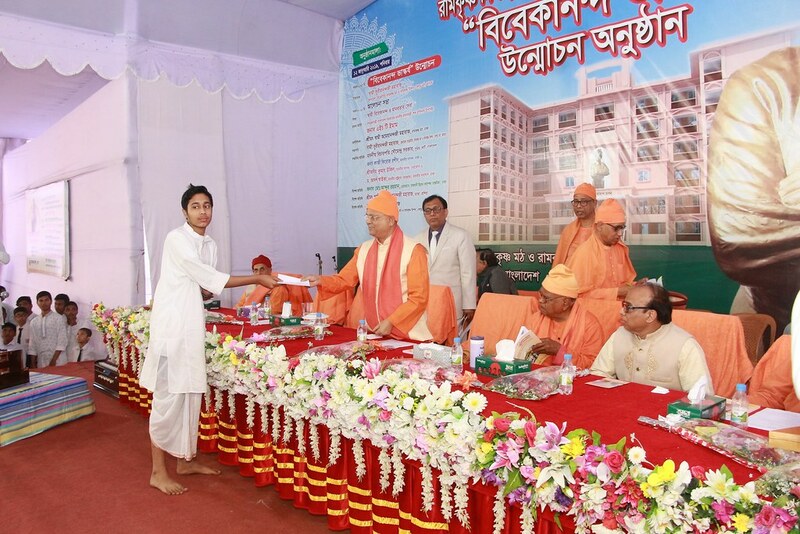 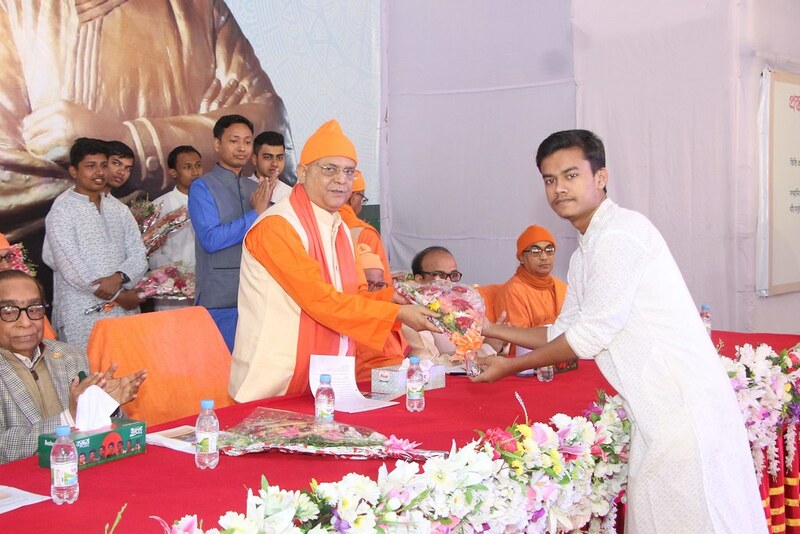 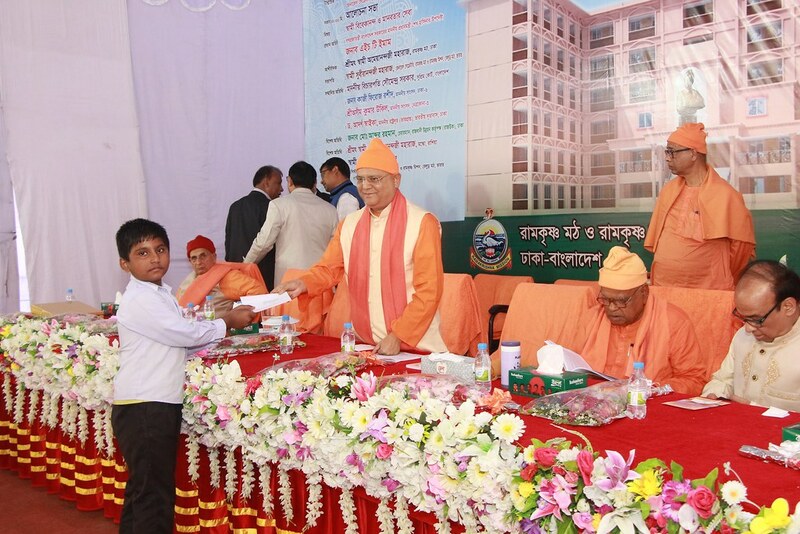 Swami Suvirananda Maharaj handed over the stipend to the students before. 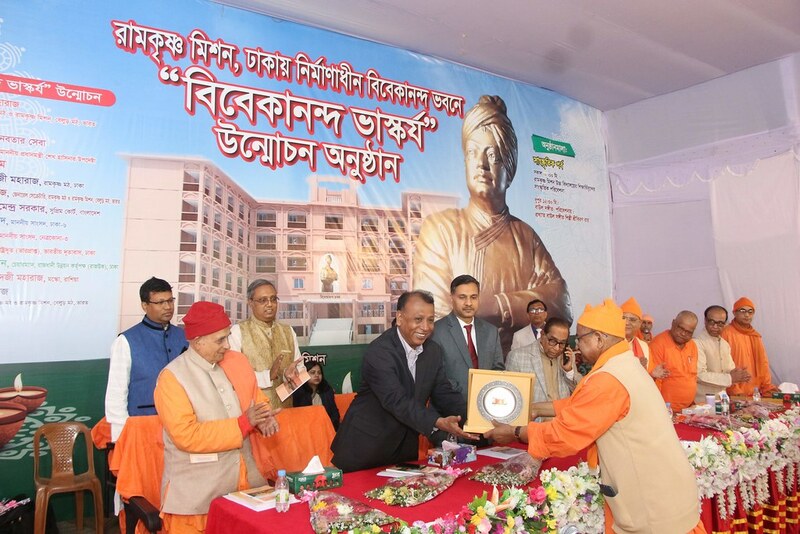 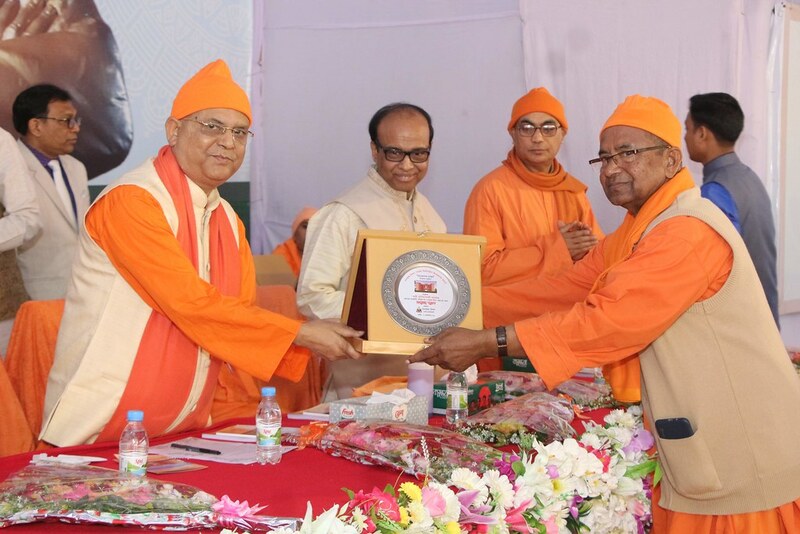 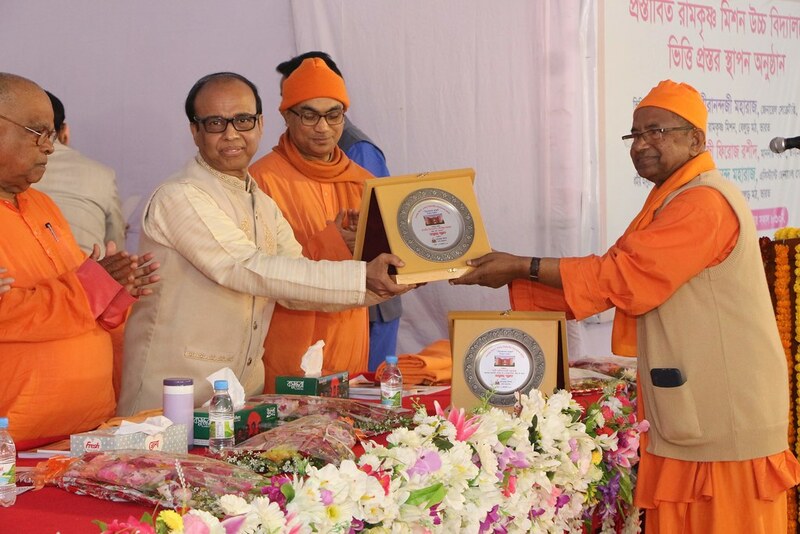 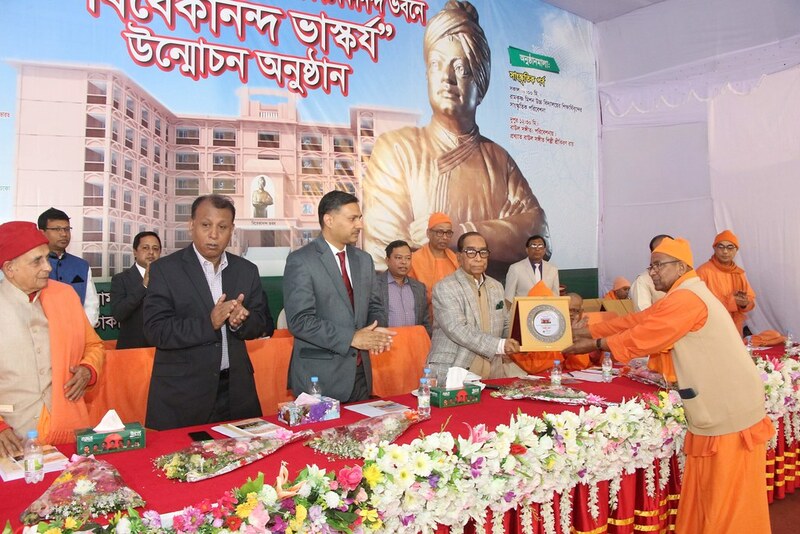 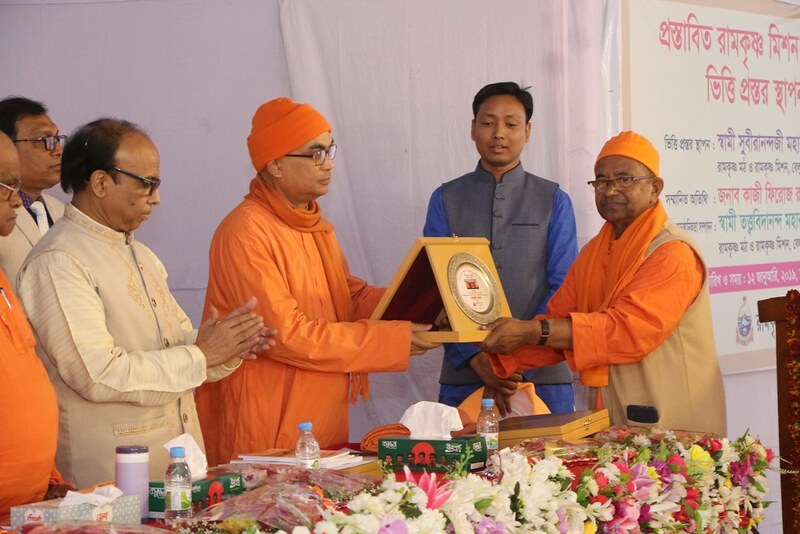 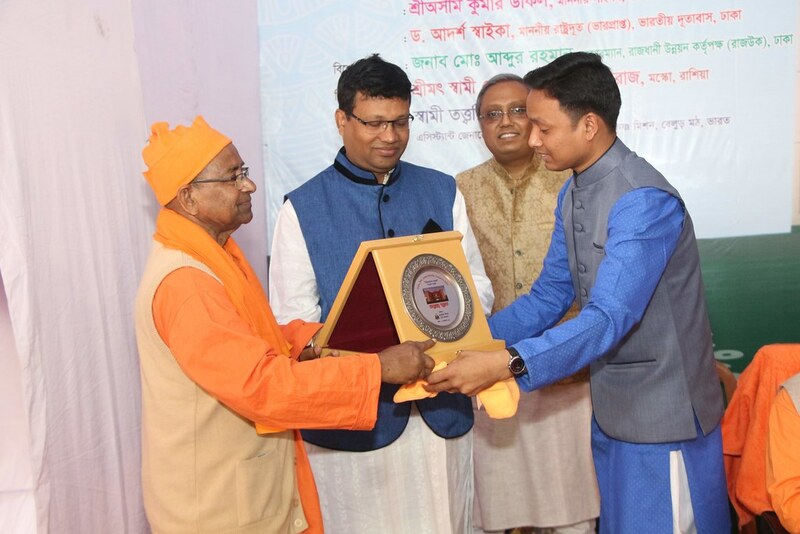 The souvenir Uddipan in commemoration of the centenary Ramakrishna Mission, Dhaka, was unveiled by the Chief Guest Mr. H. T Imam, advisor to the Hon’ble Prime Minister Sheikh Hasina, before his address. 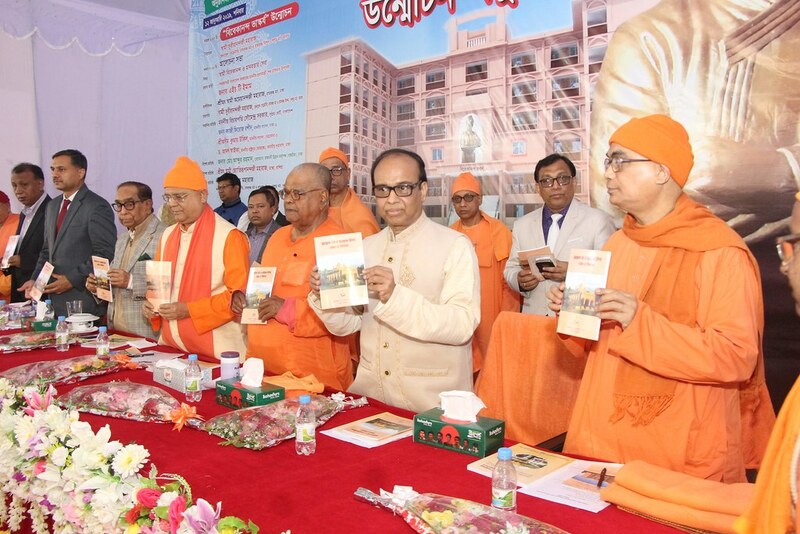 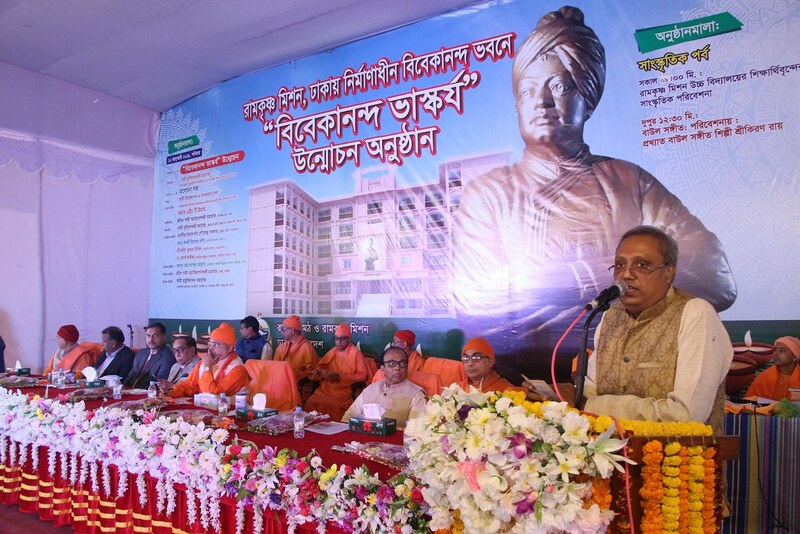 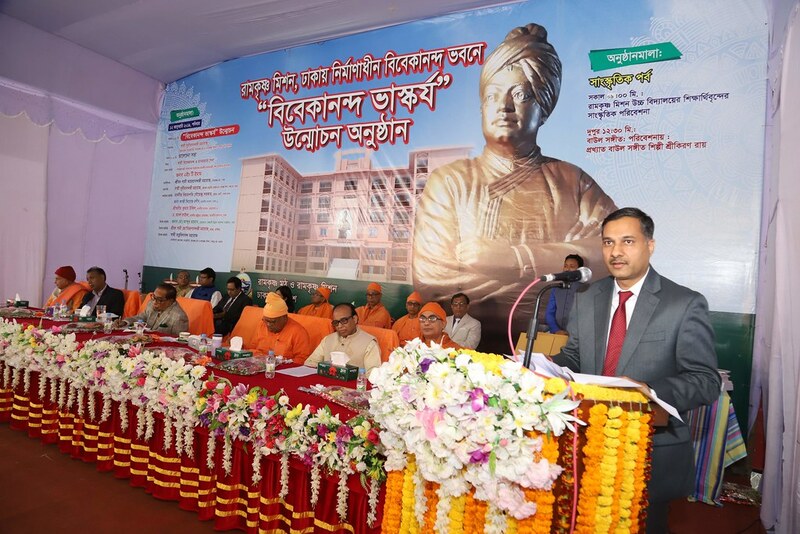 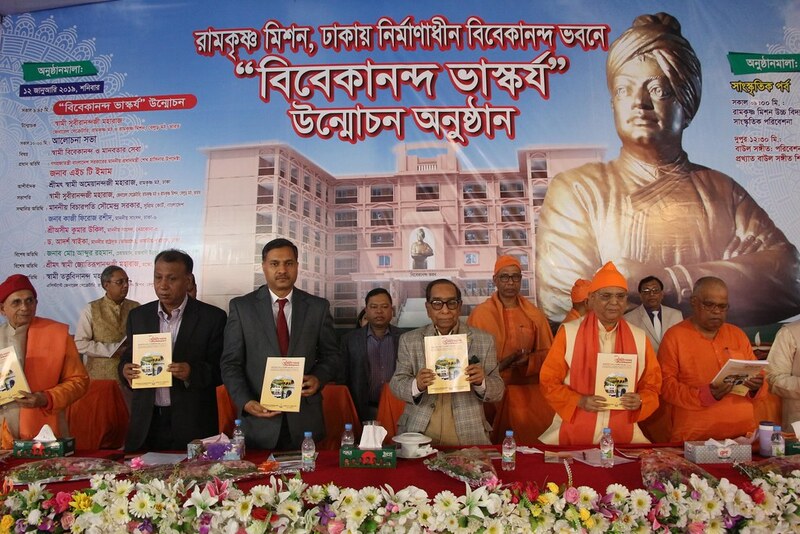 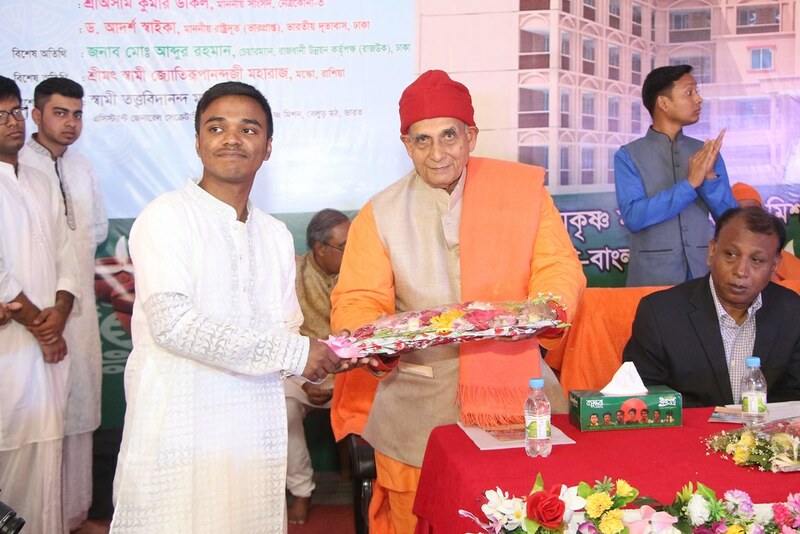 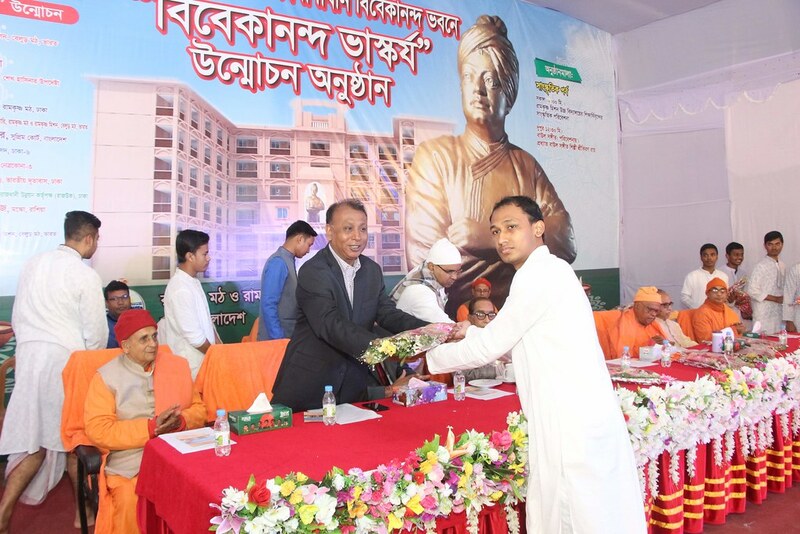 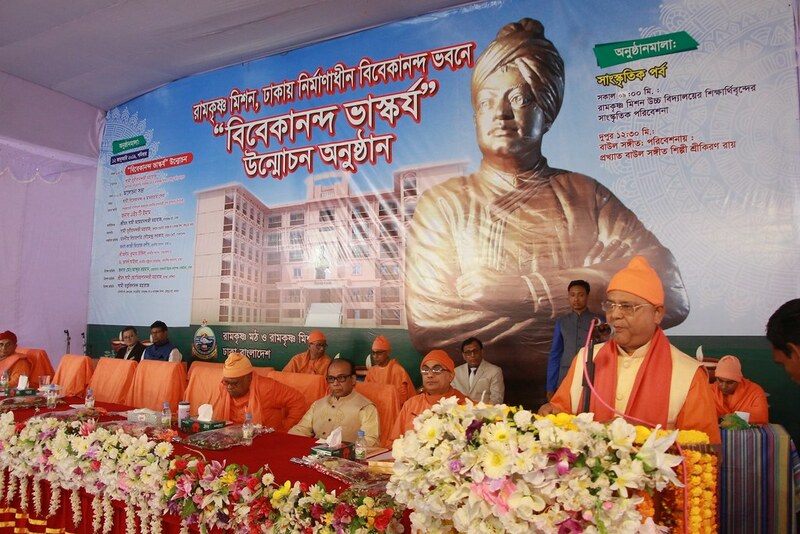 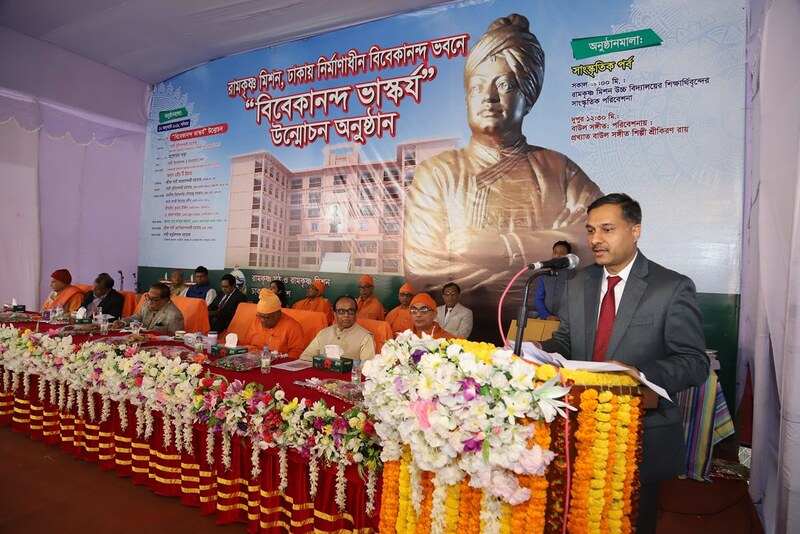 Unveiling of the 2nd edition of the History of Ramakrishna Mission, Dhaka : Justice Soumendra Sarker unveiled the 2ndedition of the History of Ramakrishna Mission, Dhaka before the address of Chief Guest.